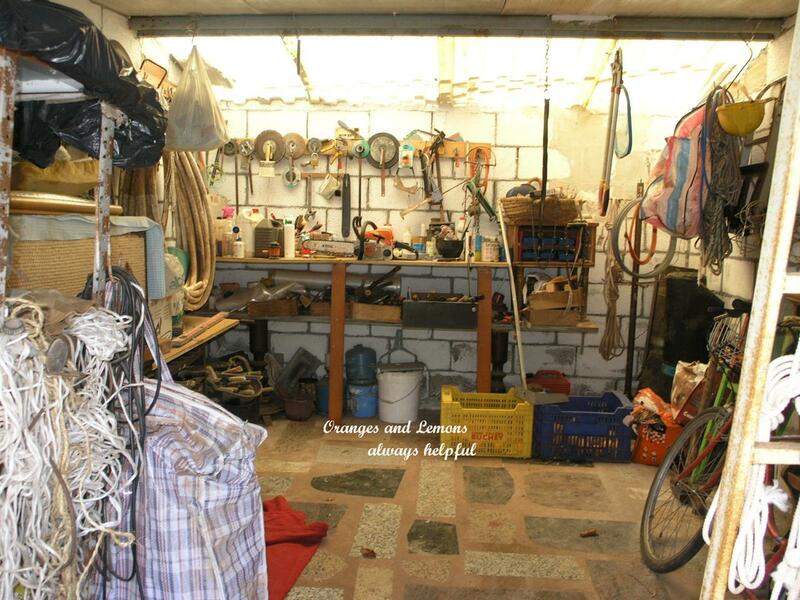 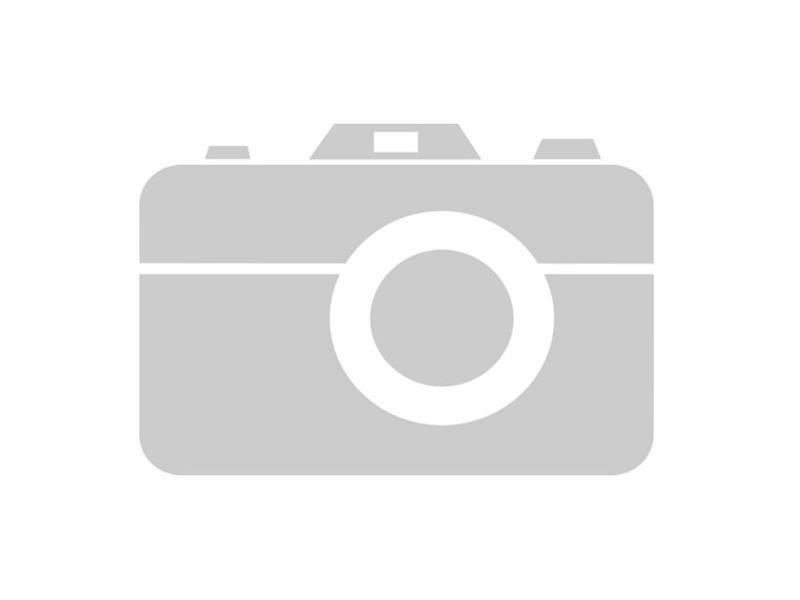 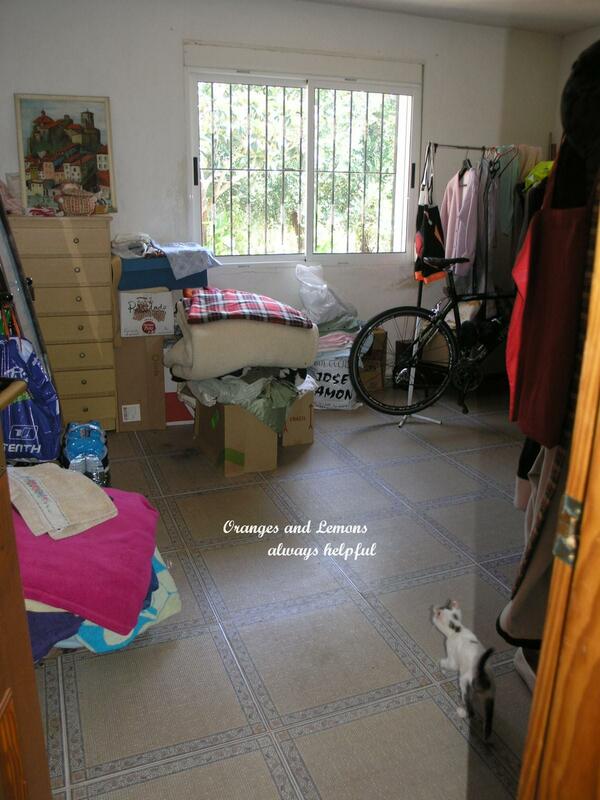 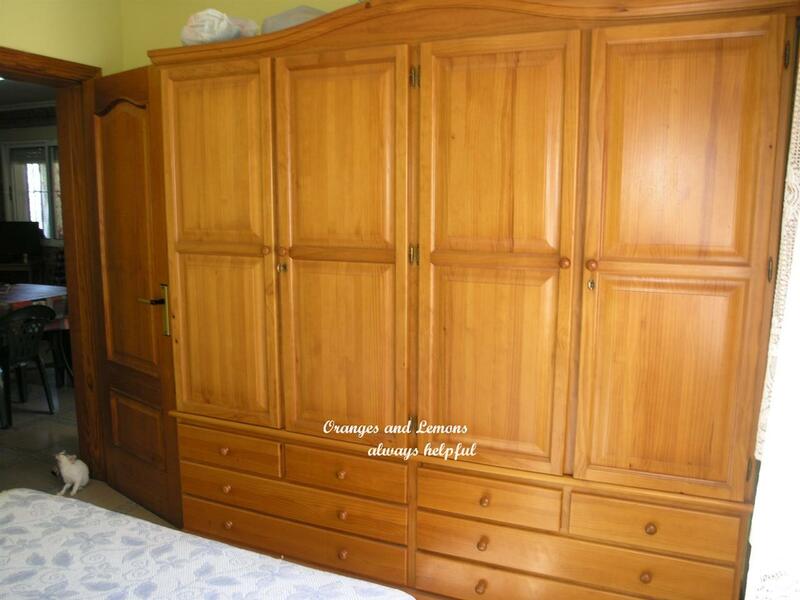 Oranges and Lemons REF VF364............…. 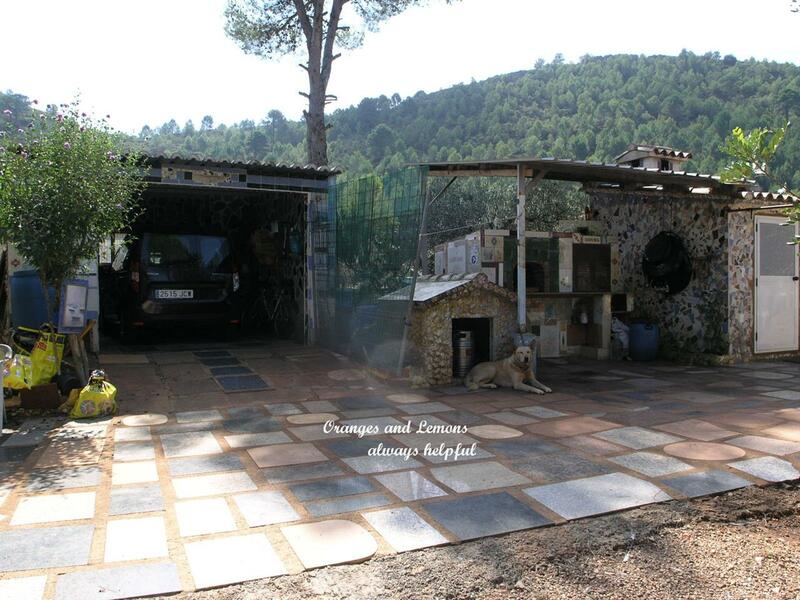 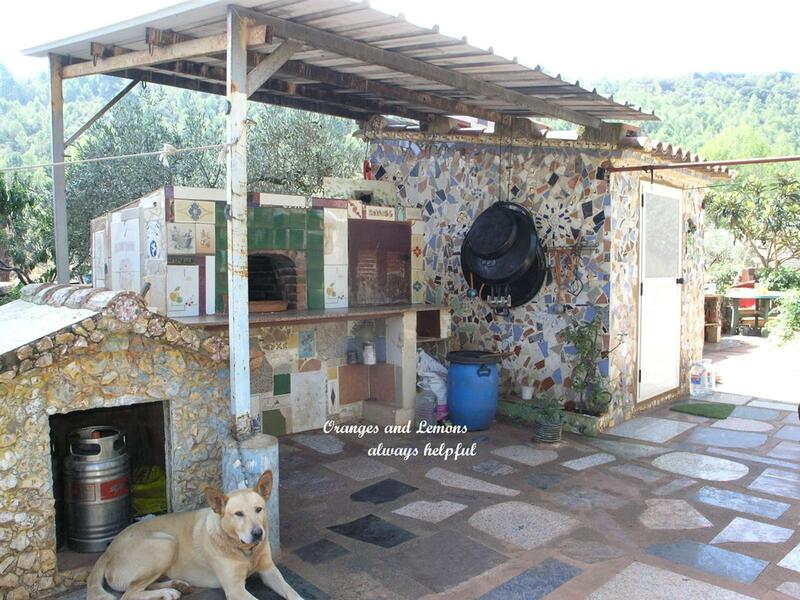 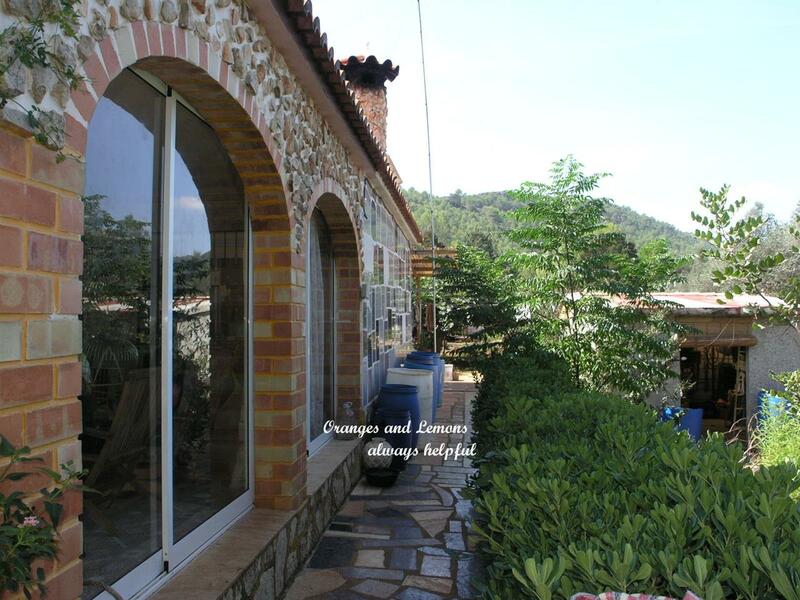 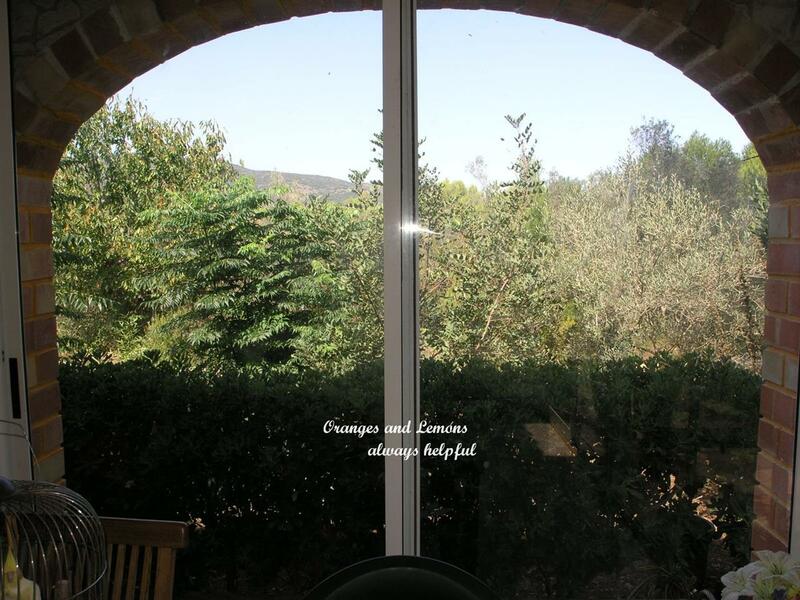 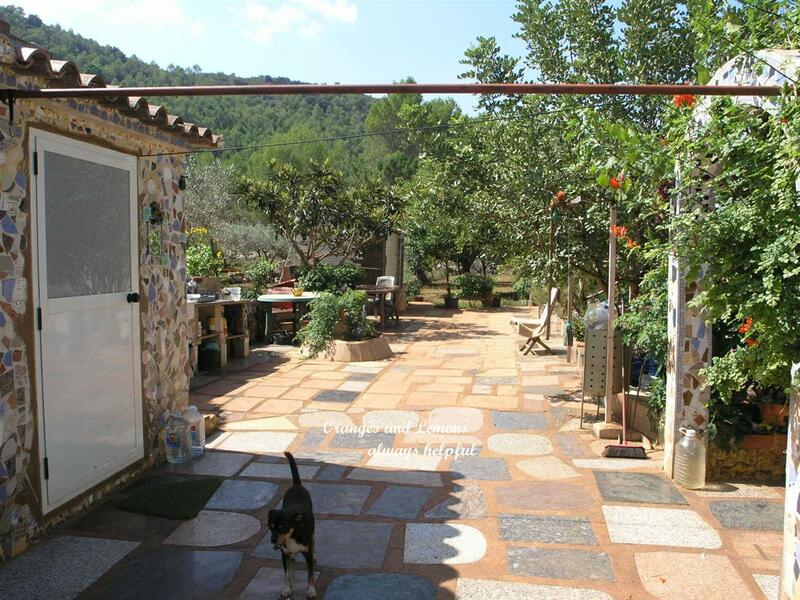 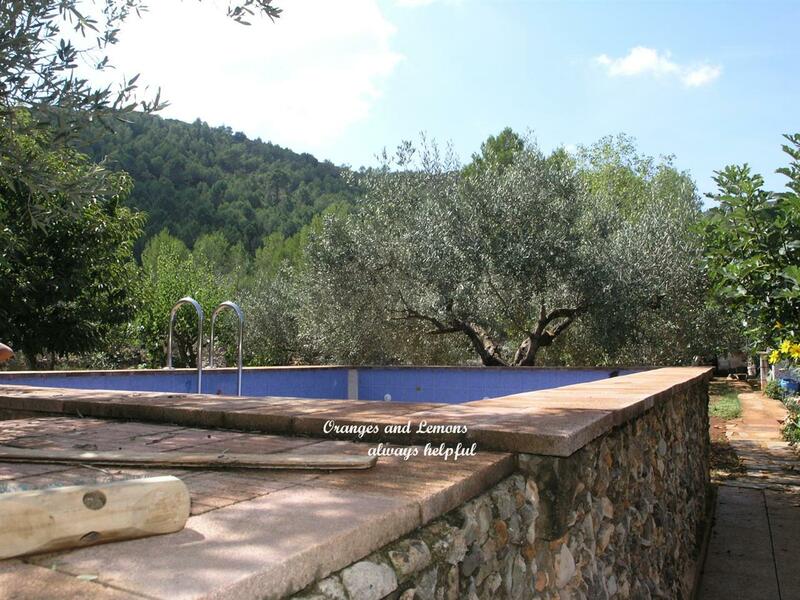 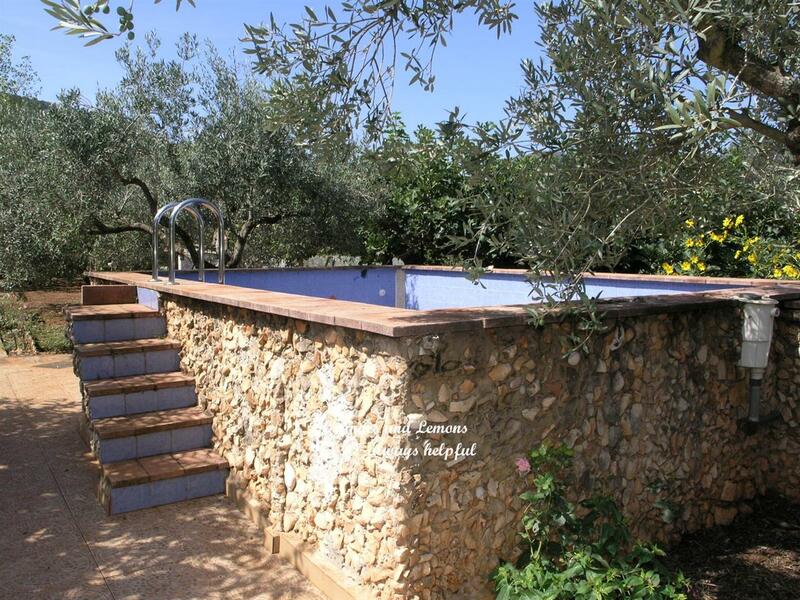 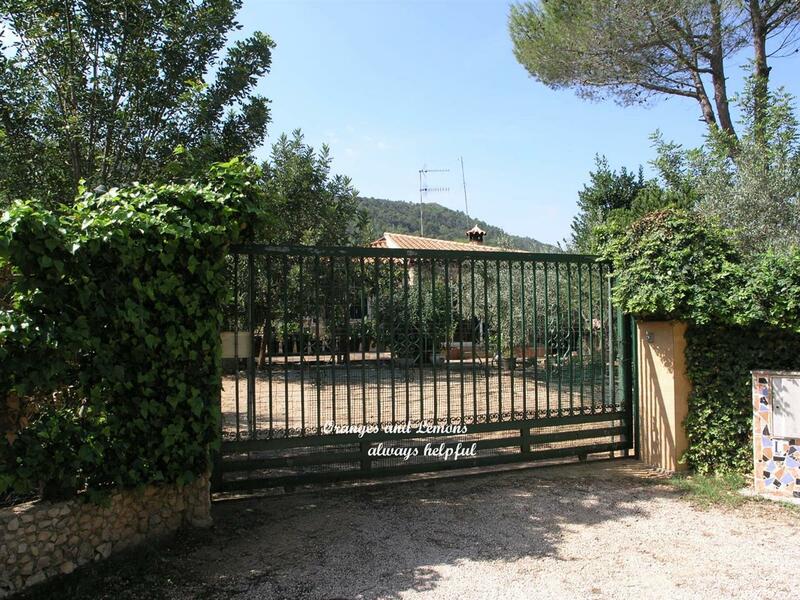 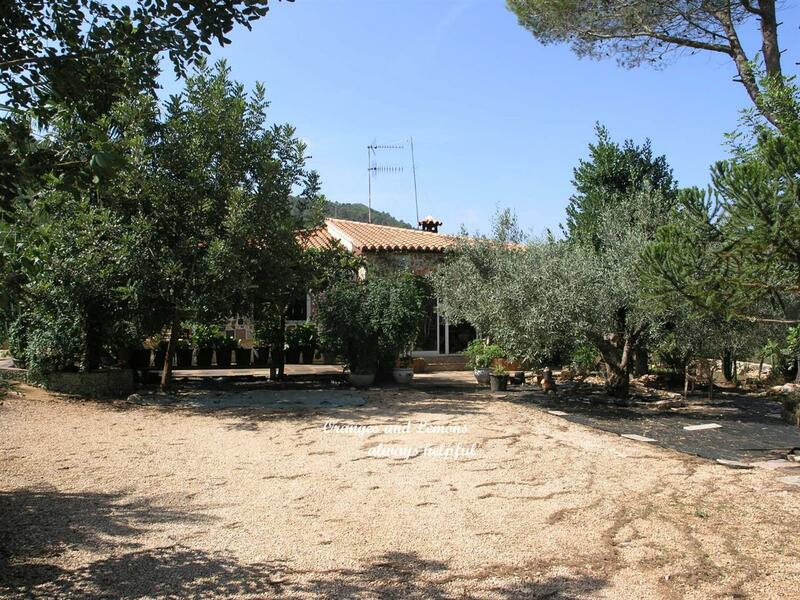 A very lovely 95m2 quirky and homely villa boasting a superbly private and exceptionally quiet country side location near to Villalonga town and enjoying peaceful hillside views. 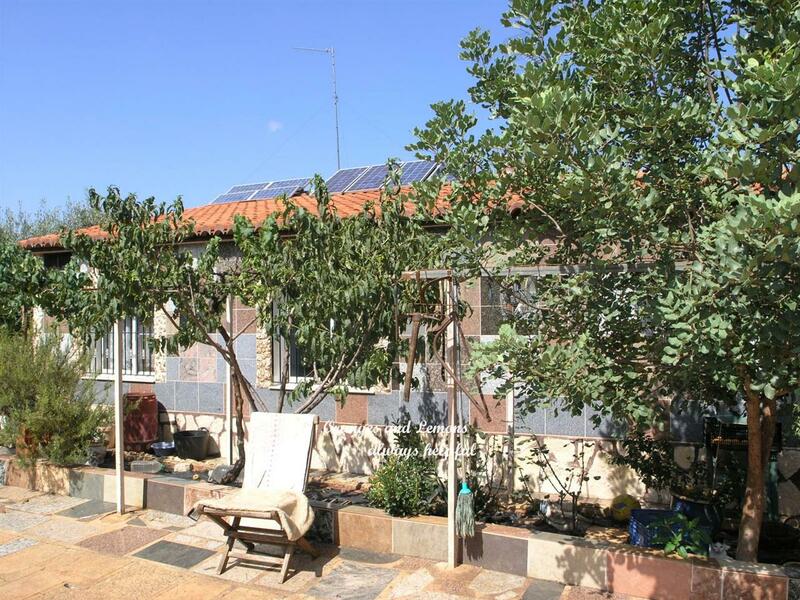 Having 3 double bedrooms, 1 shower room, additional outside kitchen and BBQ, large sun terraces, small POOL and garage for 1 car. 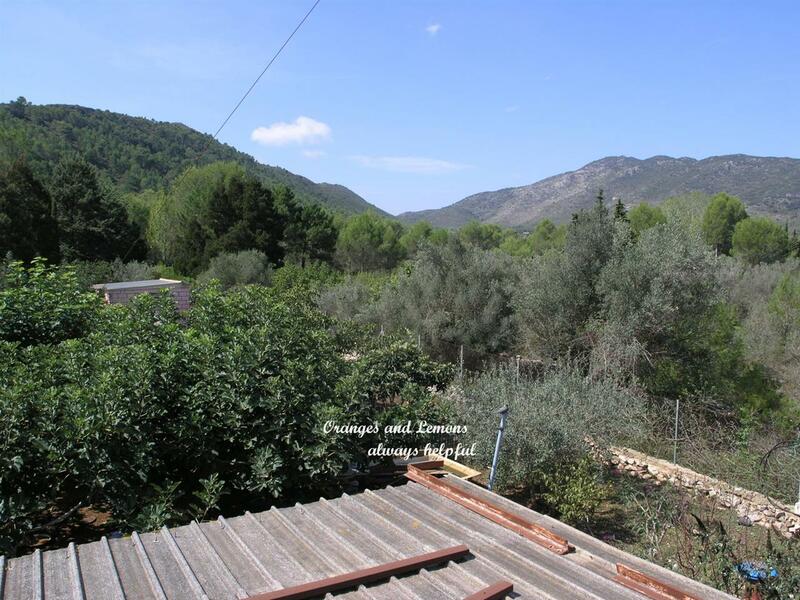 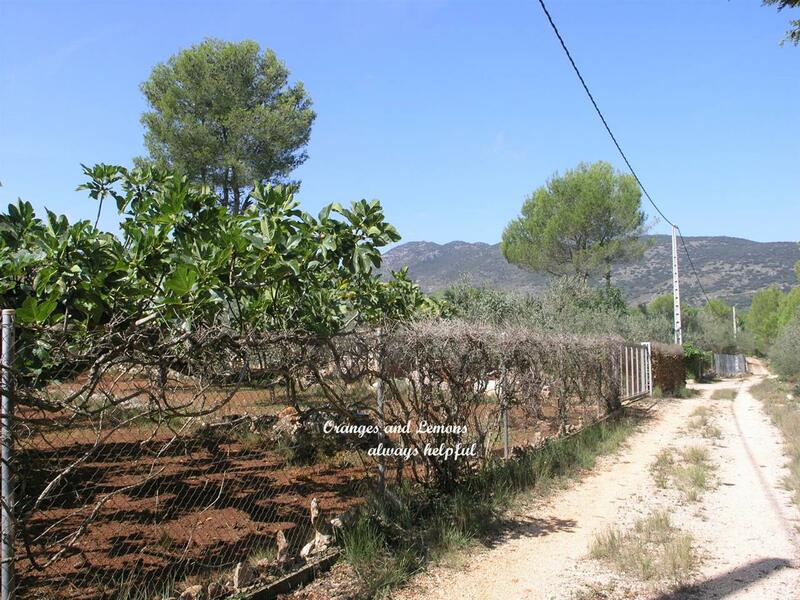 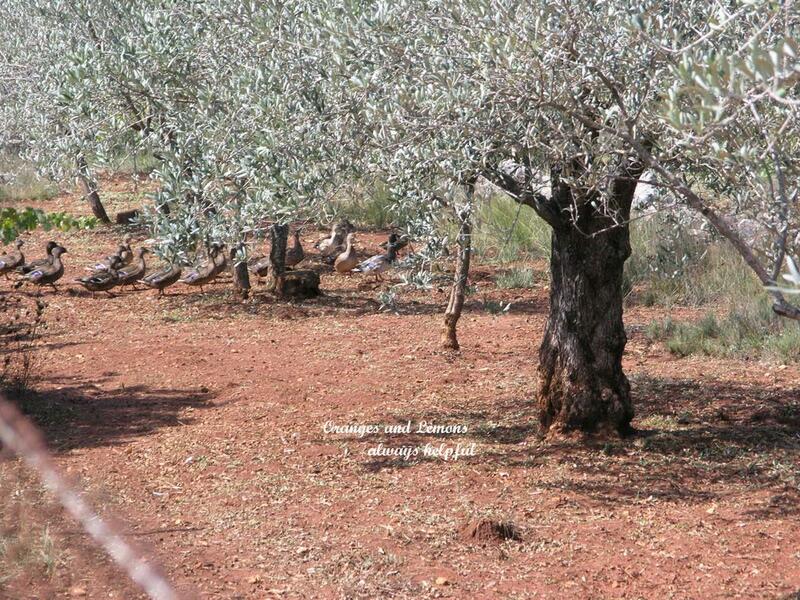 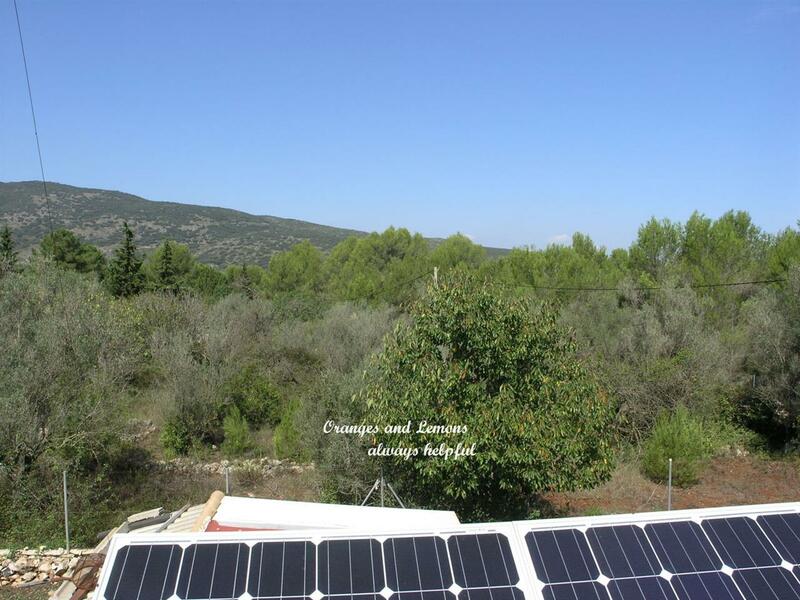 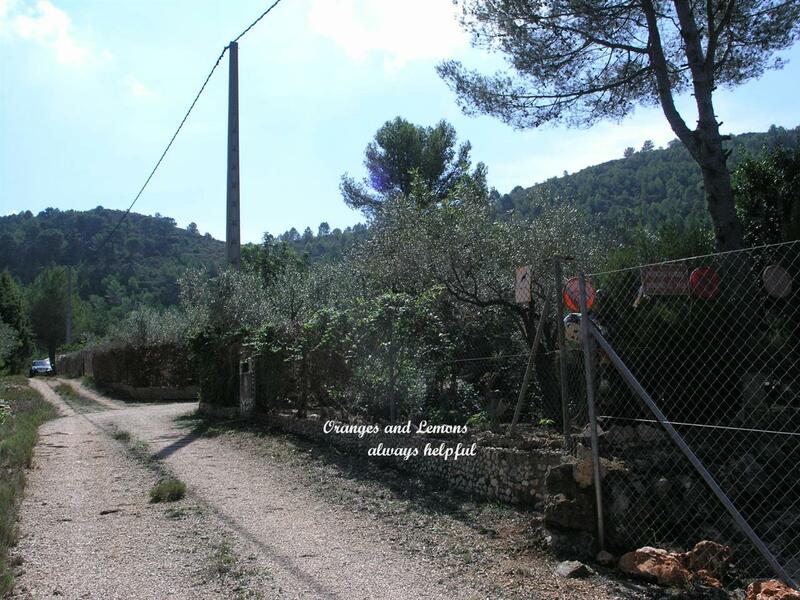 On a flat fenced 4200m2 plot with mainly Olive trees in production (last year providing 80litres of oil). 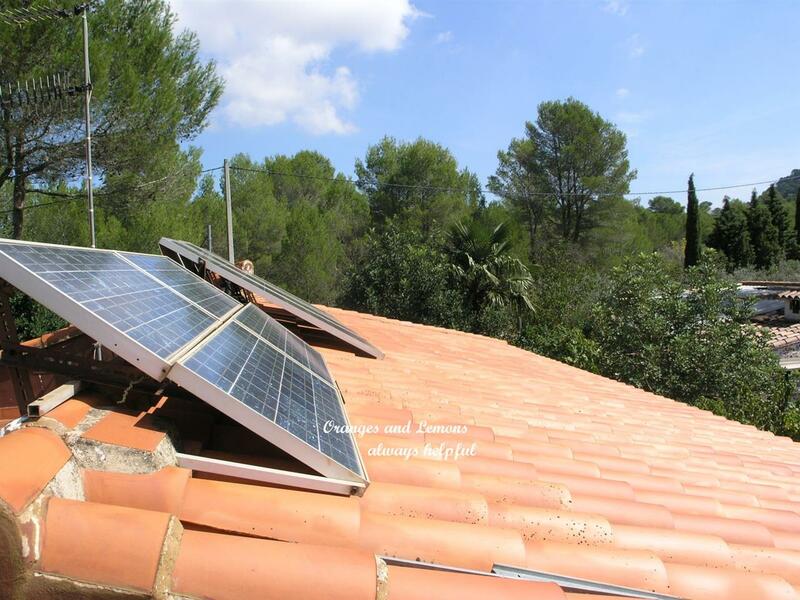 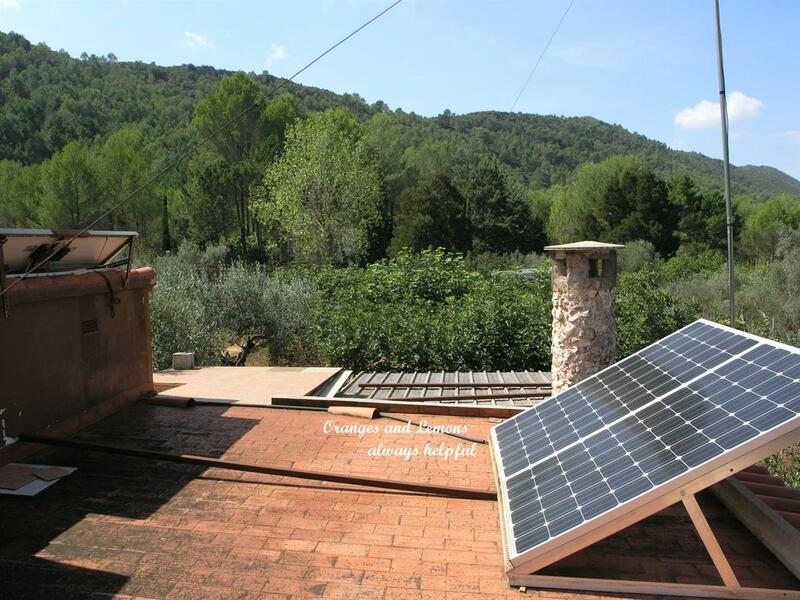 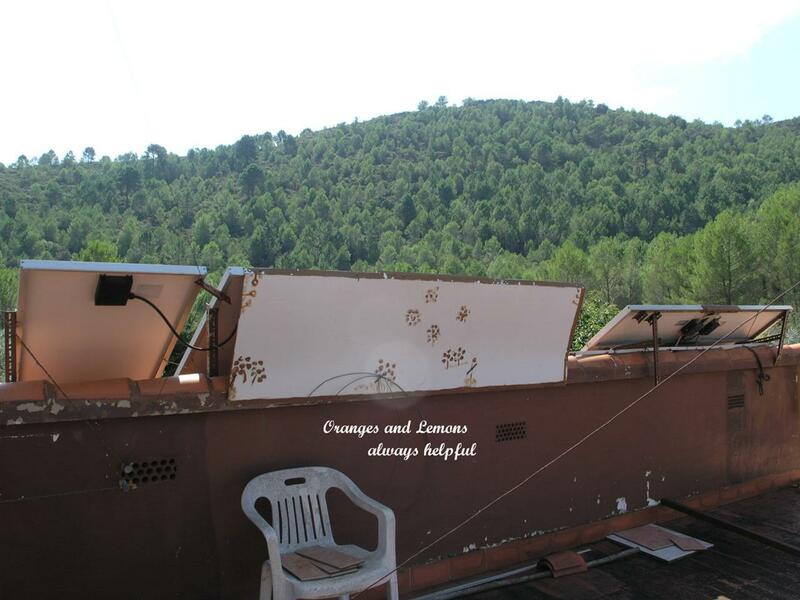 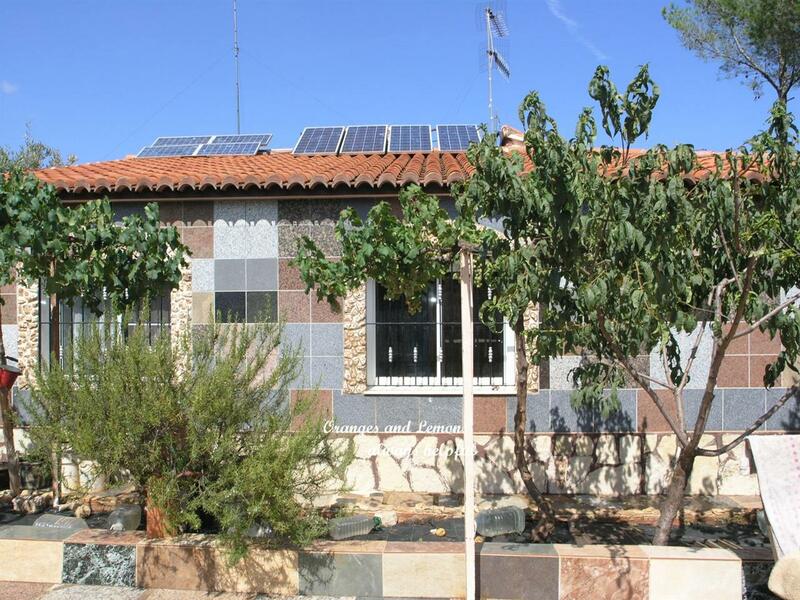 Having mains drinking water connected, solar electricity via 8 panels and 12 batteries providing ample supply for all household appliances, plus there is a generator for back up if needed. 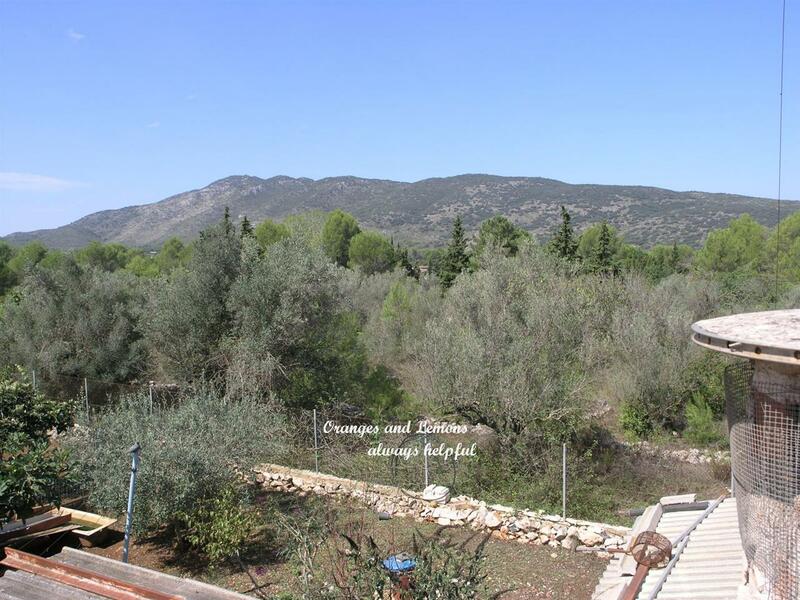 Also having a current telephone connection, internet is available via satellite and the villa is furnished ready to move into and enjoy the tranquility - get away from it all…………….. 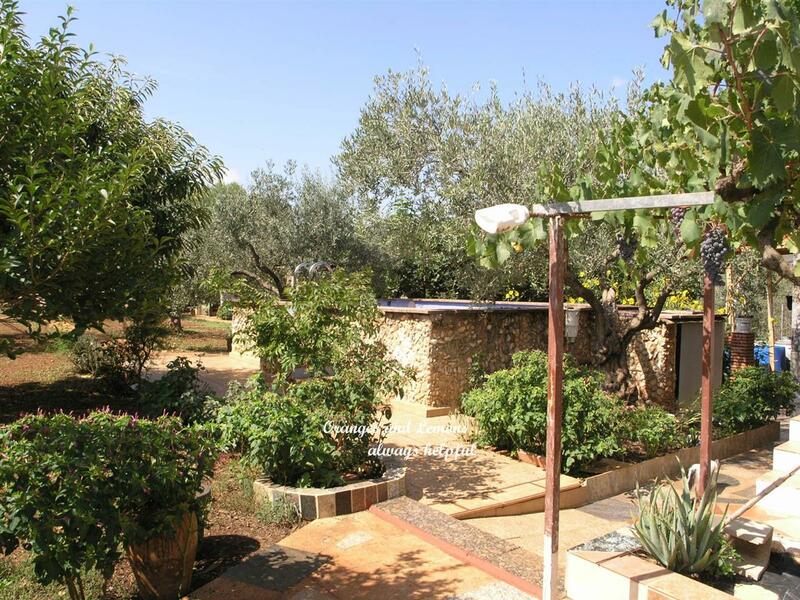 This really is a very lovely property which offers such private and tranquil country surrounds and is perfect for a permanent home or holidays. 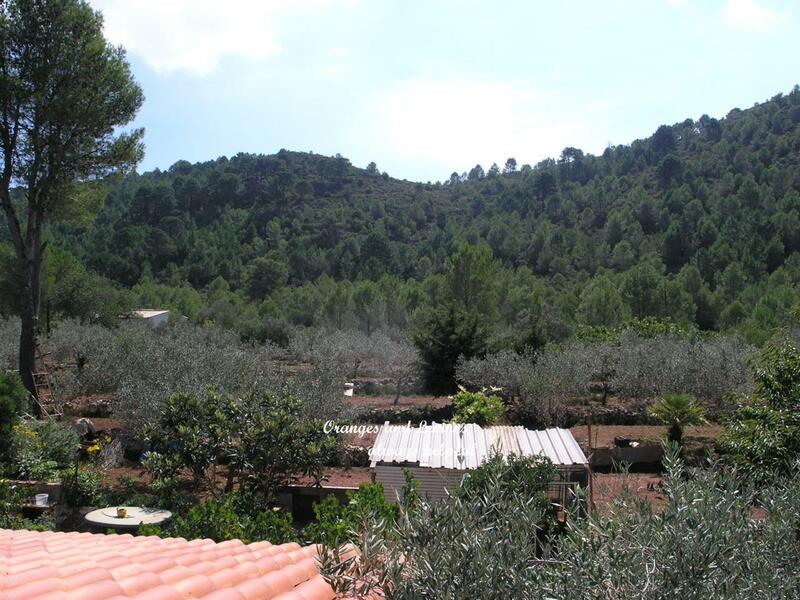 Lost in the hillside above the town of Villalonga with many other similar properties, enjoying a quiet end of road location and surrounded by vast country side to explore. 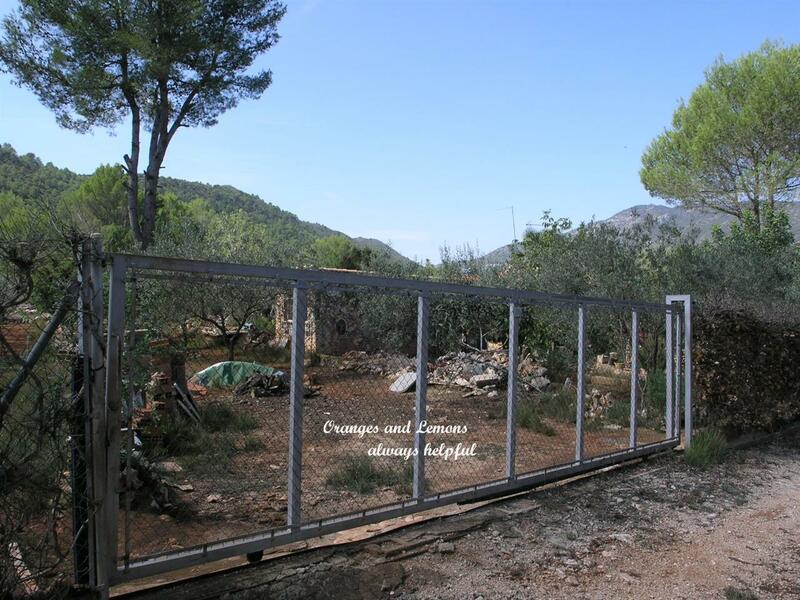 Entry into the ground is via double iron gates plus there is another large gated entrance to the orchard. 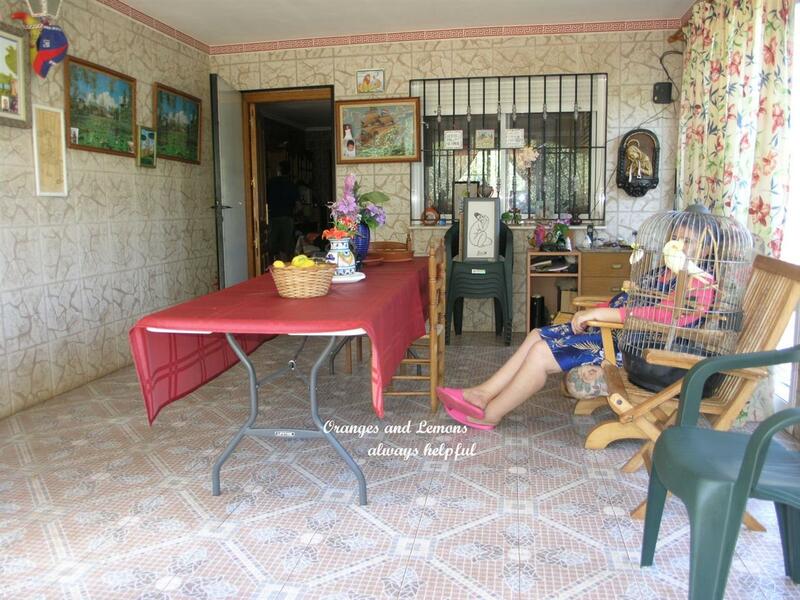 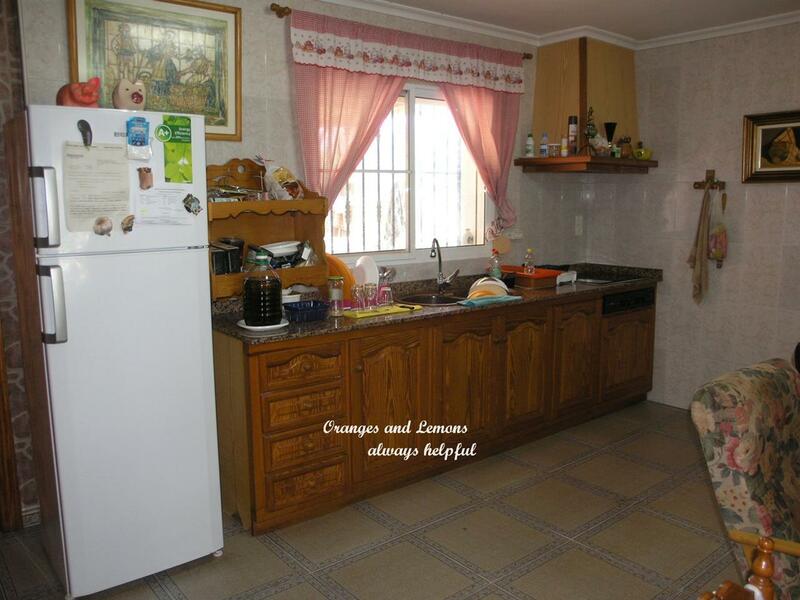 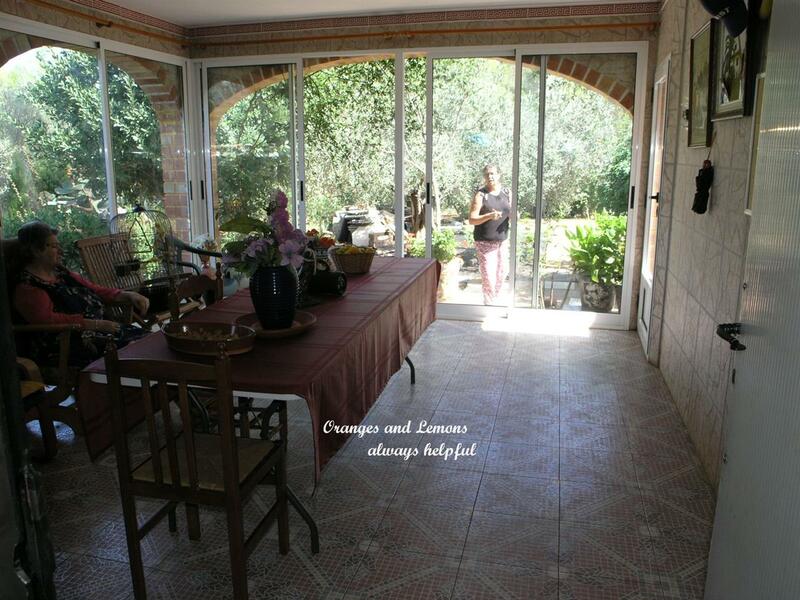 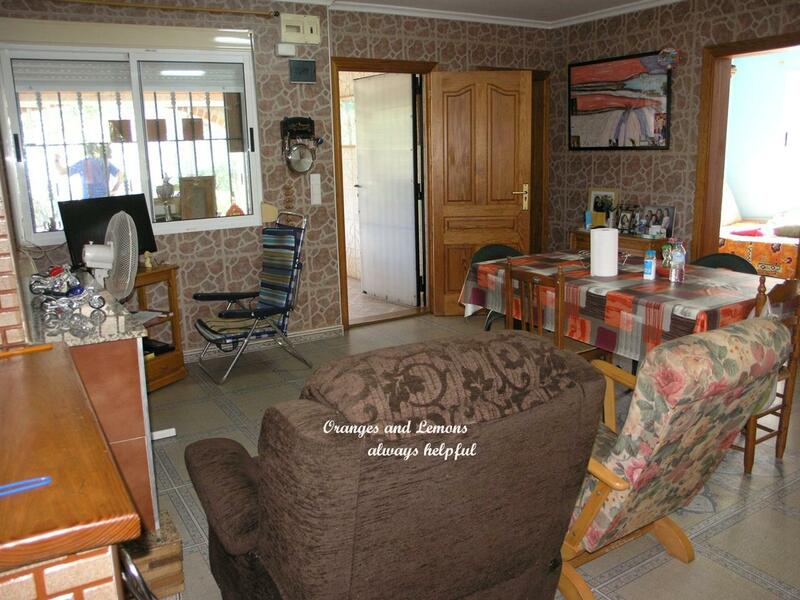 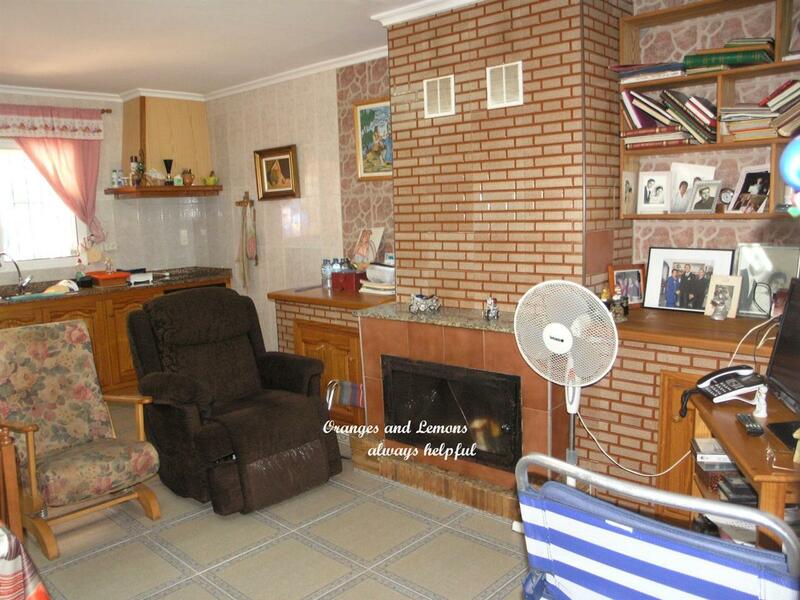 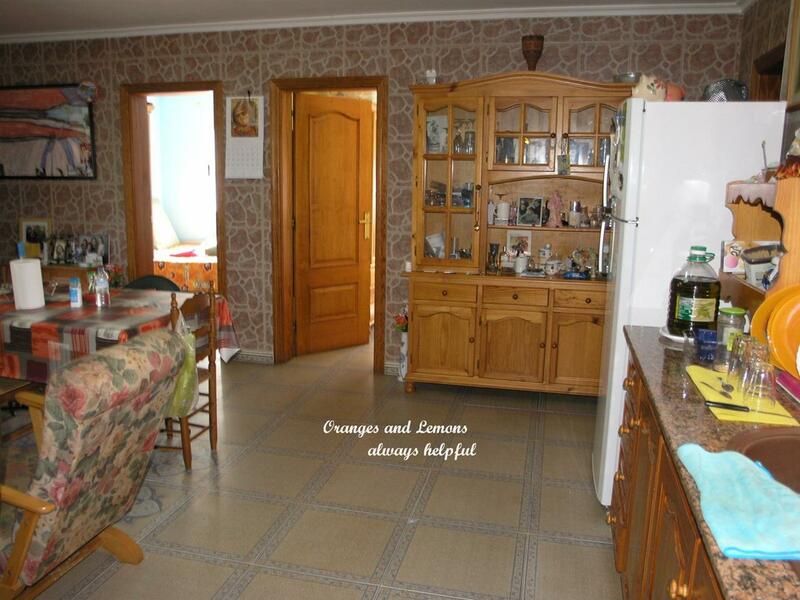 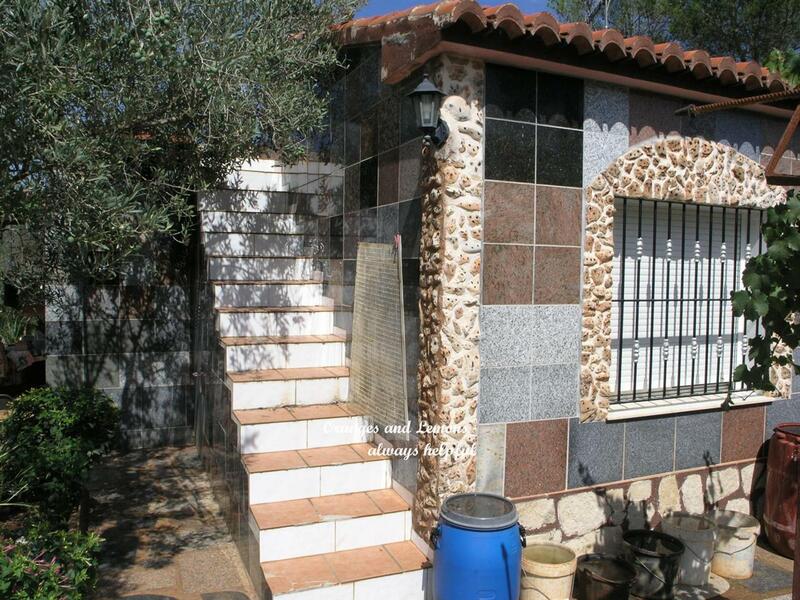 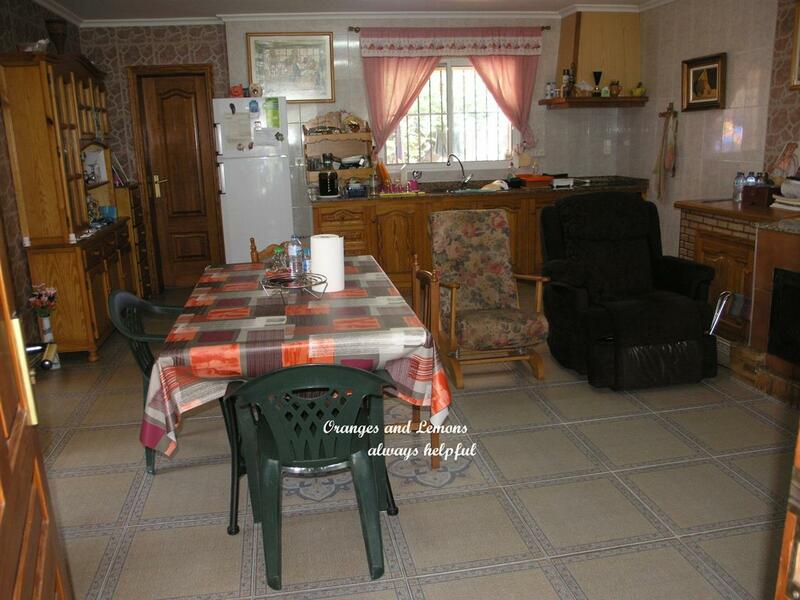 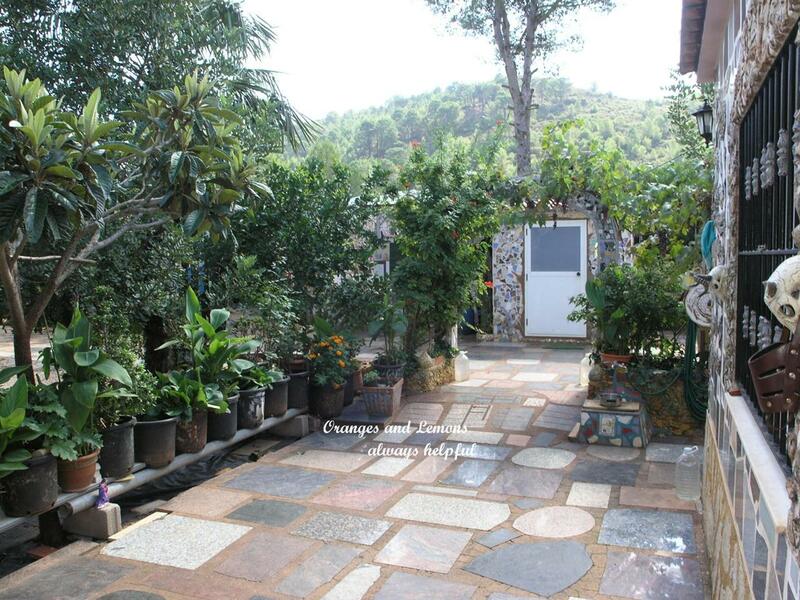 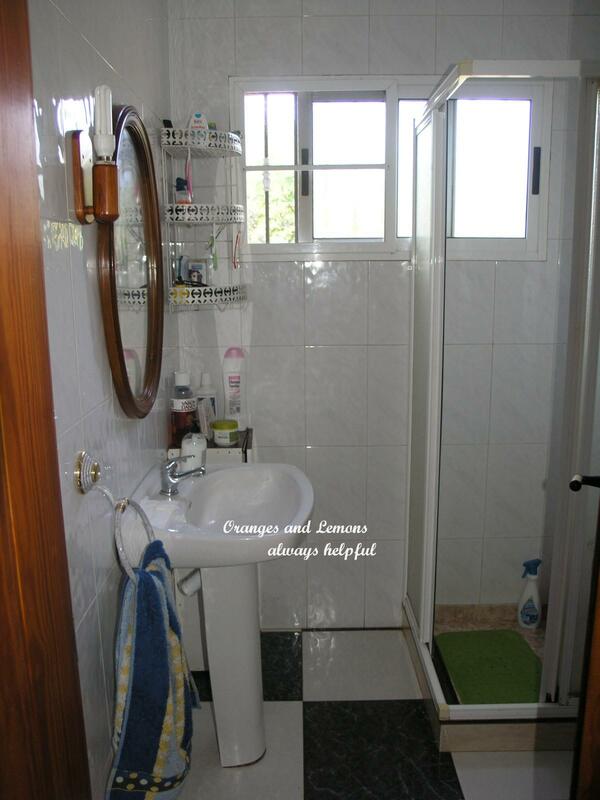 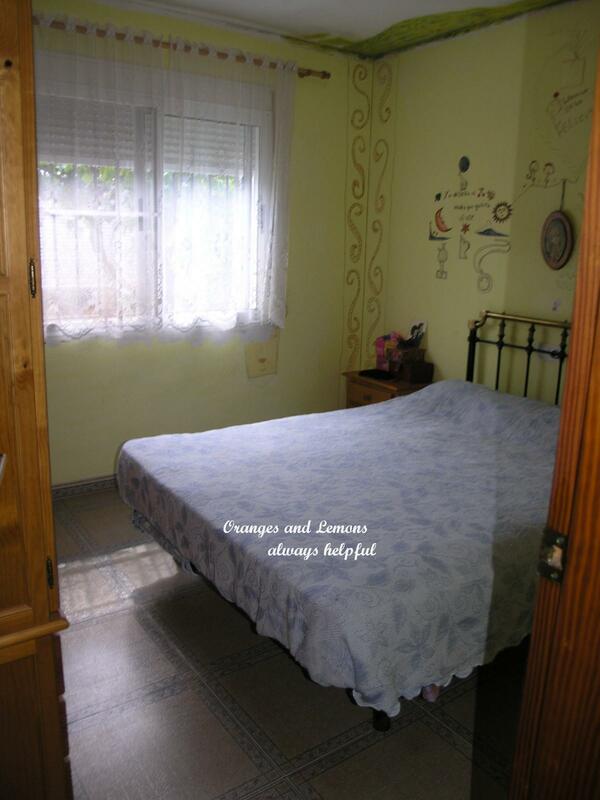 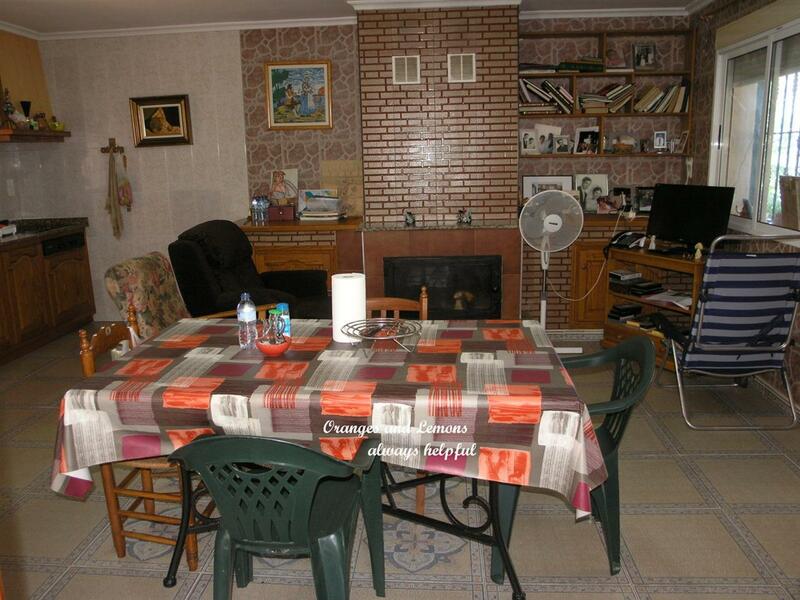 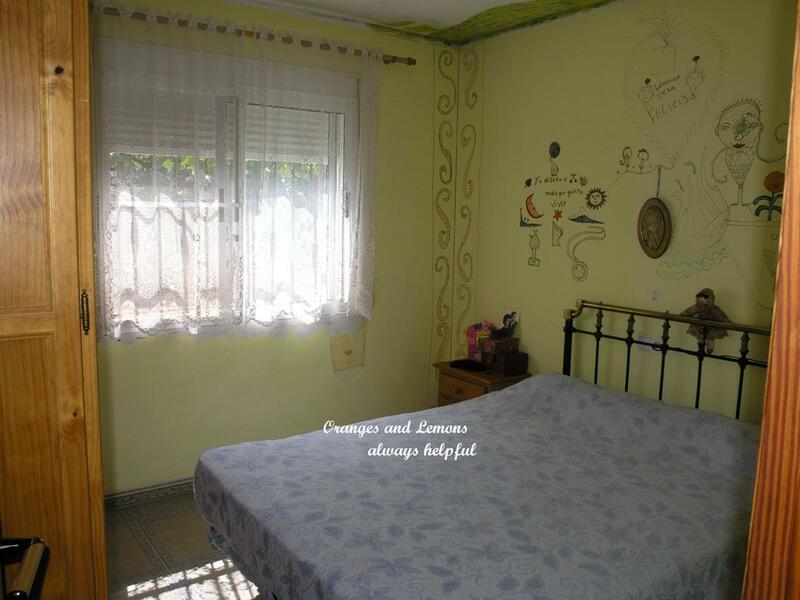 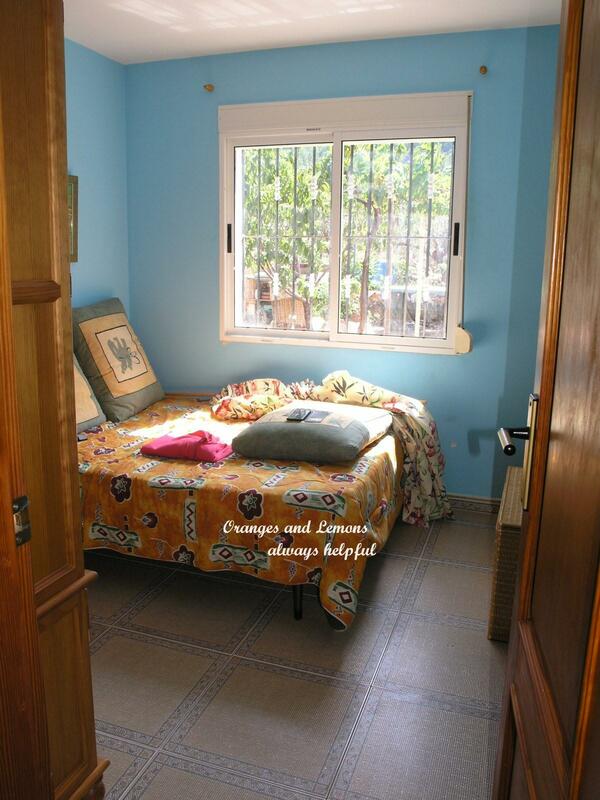 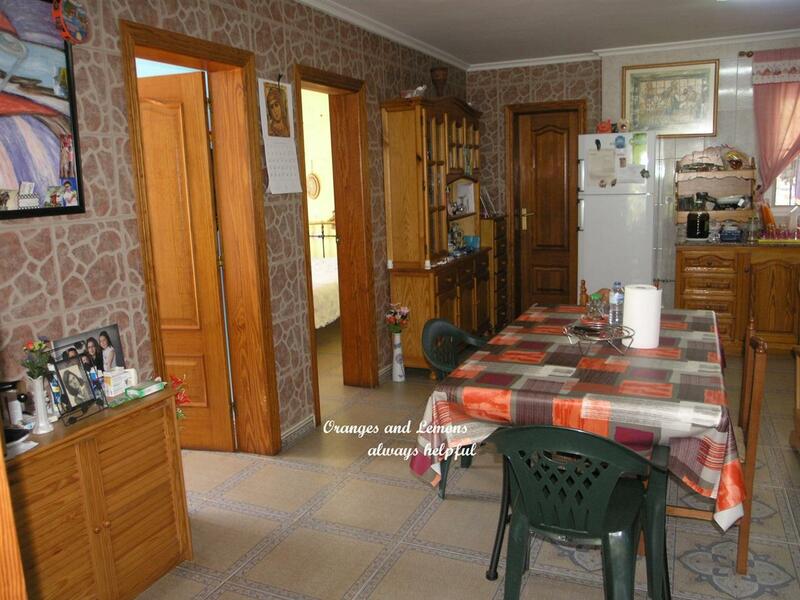 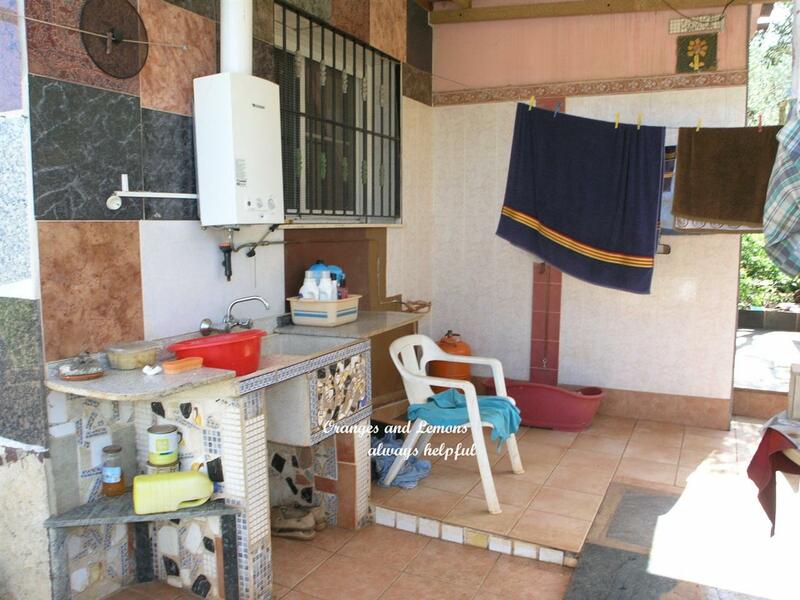 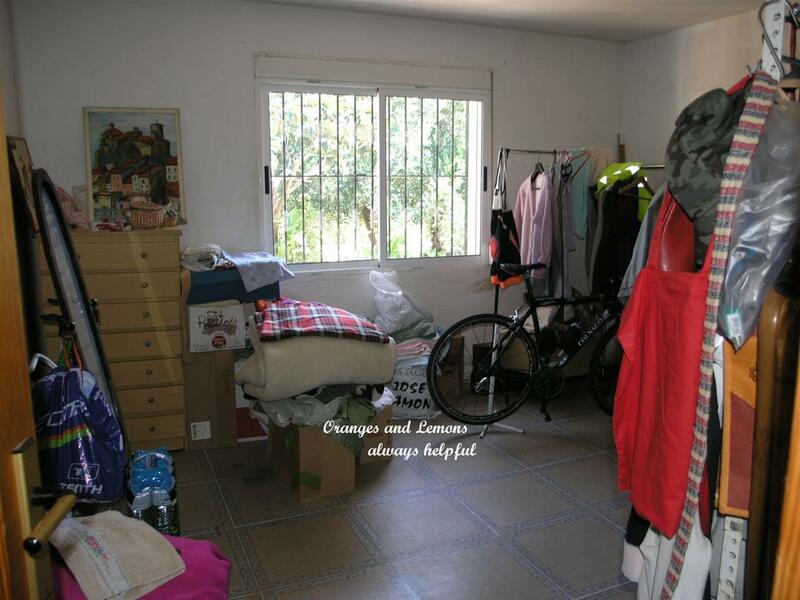 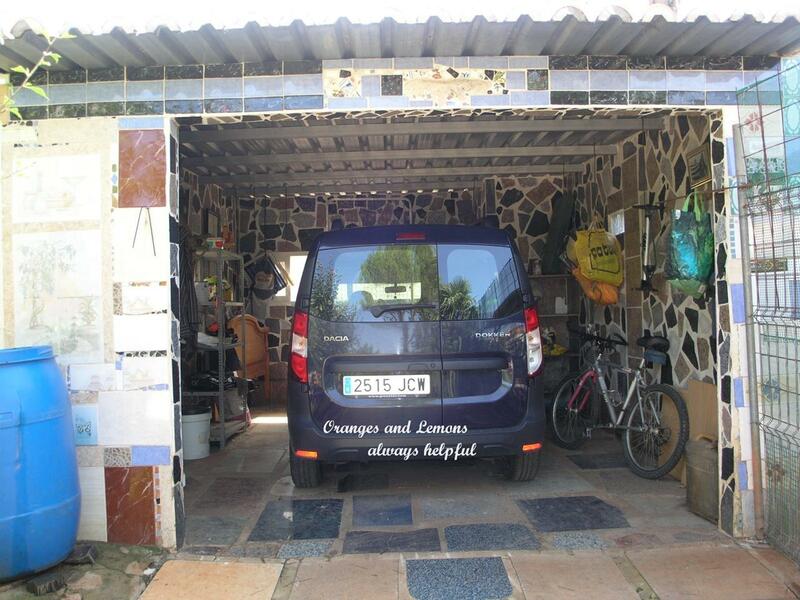 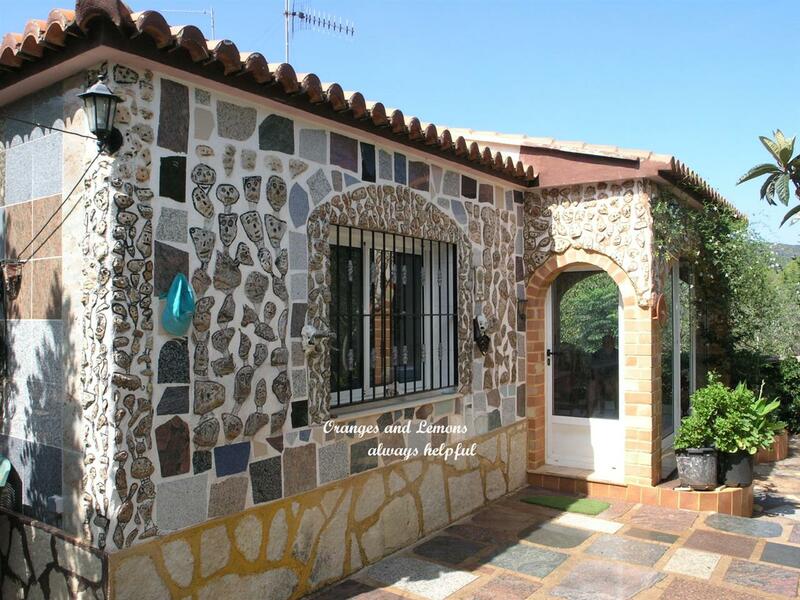 The property has been very nicely developed and improved by the current owners over the many years of living there with their very own individual traditional Valencia style and is sure to please. 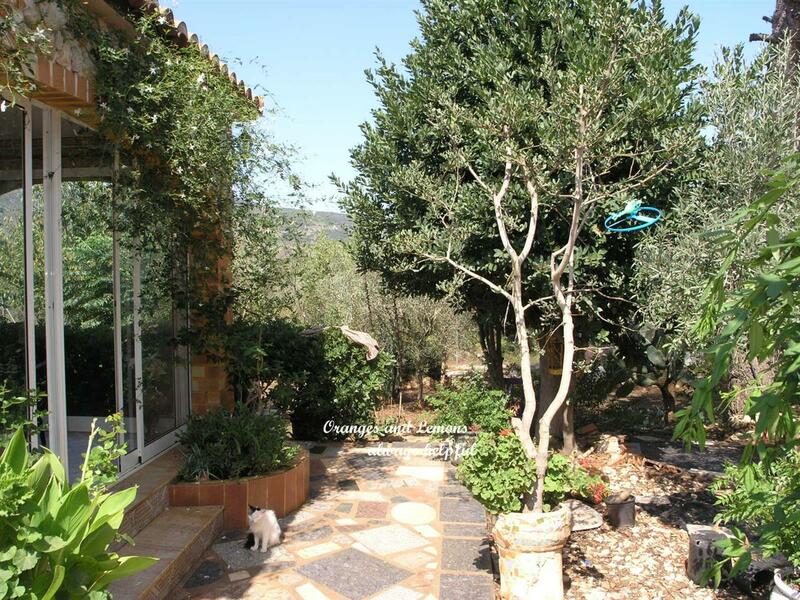 There are 2 good size sun terraces which give access into a large glazed in conservatory / naia ideal for use as a second lounge and dining room and for just simply relaxing, this leads into the large main lounge / dining room with open concept fitted kitchen, there is a feature fireplace with wood burning stove in the lounge, Master bedroom is very large plus there are 2 further double bedrooms and a family shower room. 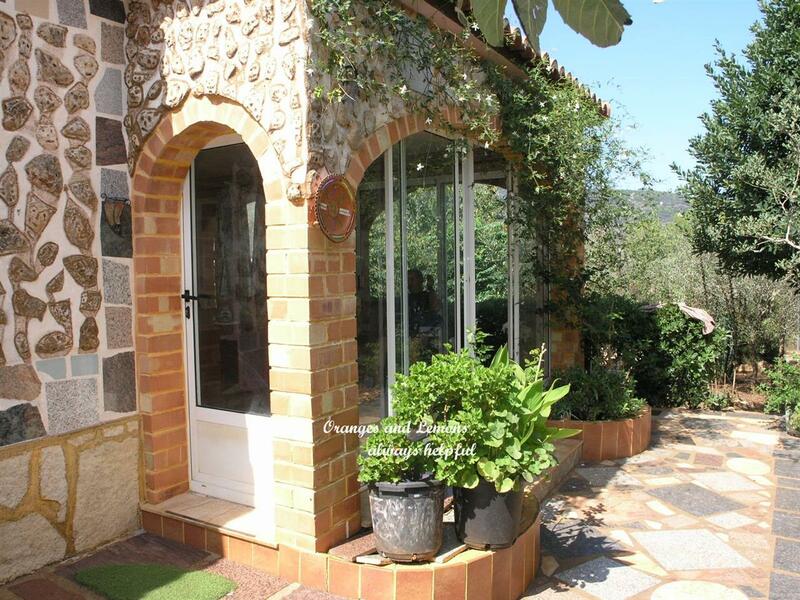 On the first floor is a roof / sun terrace with superb 360º hillside views. 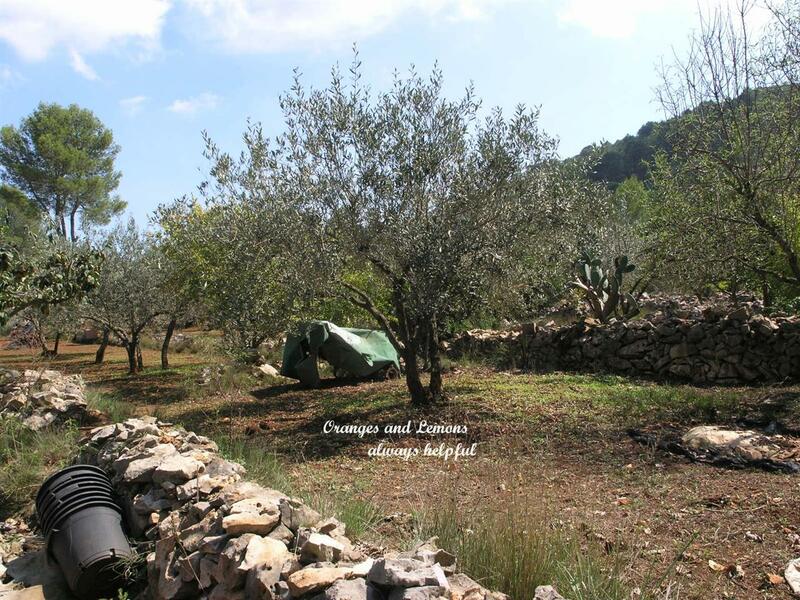 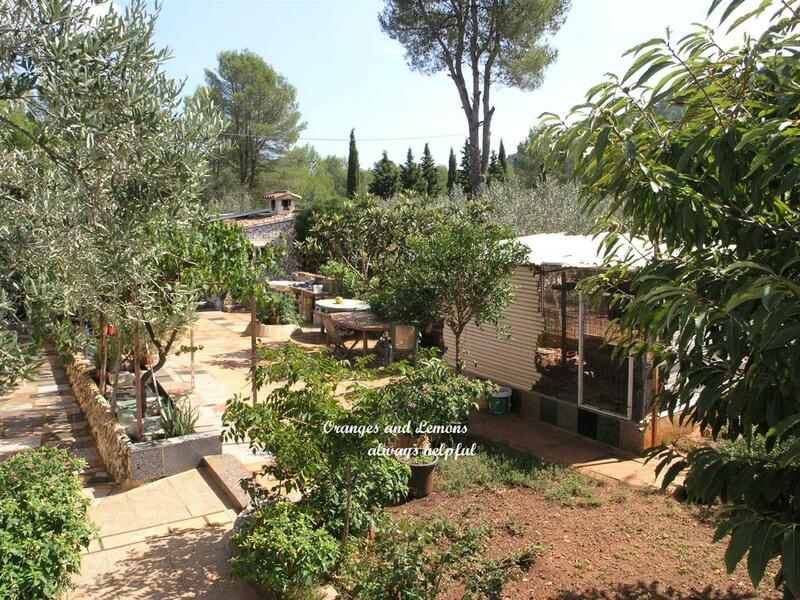 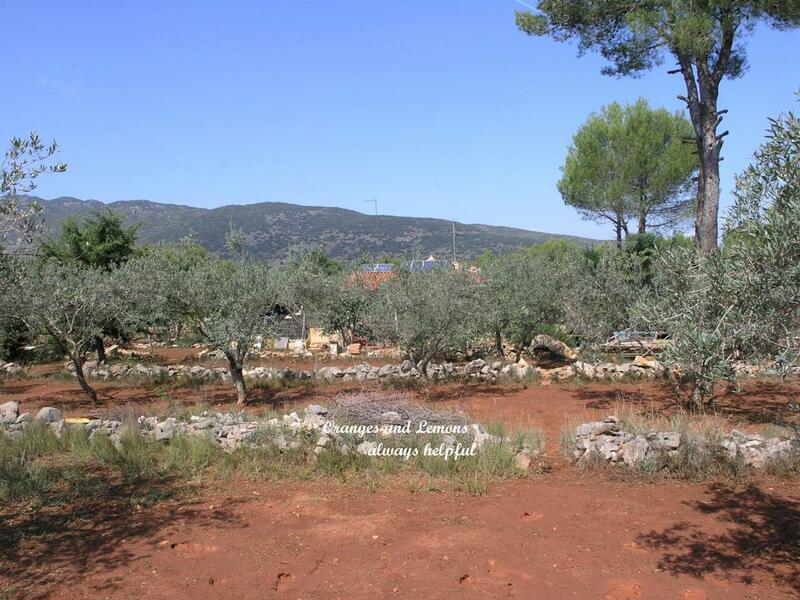 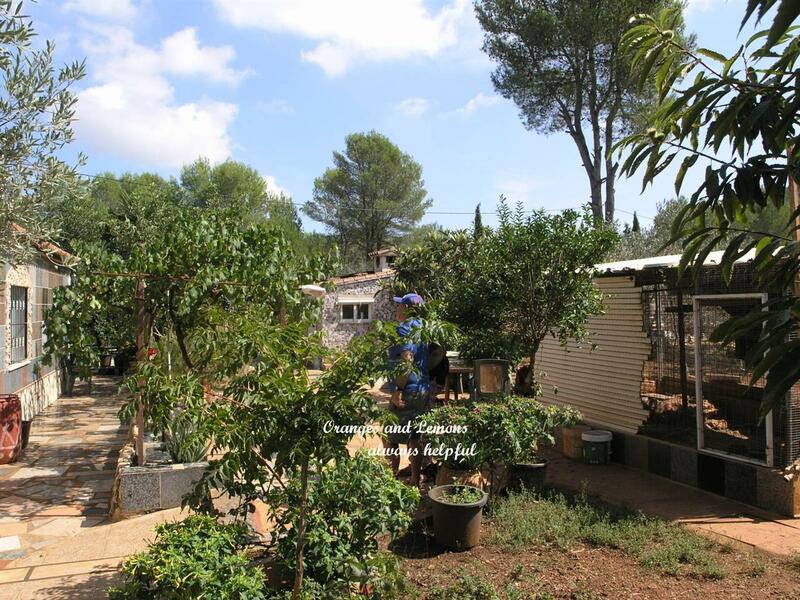 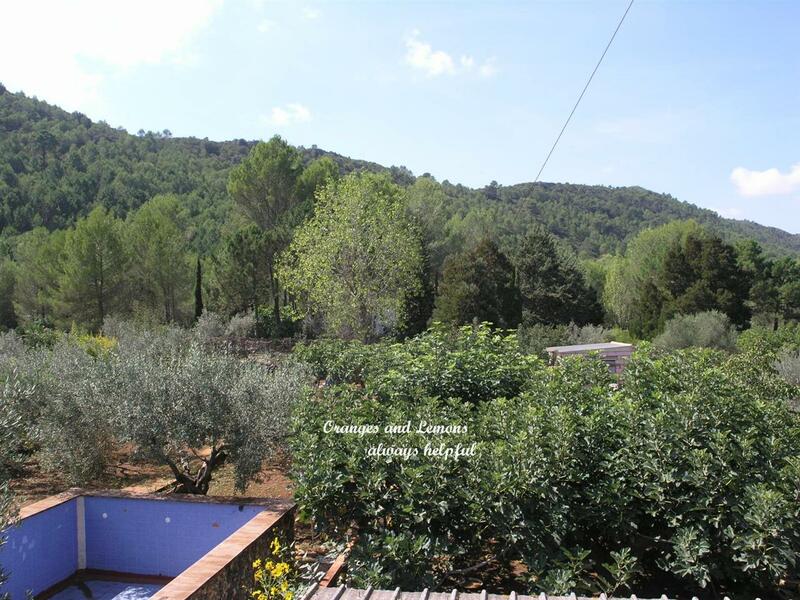 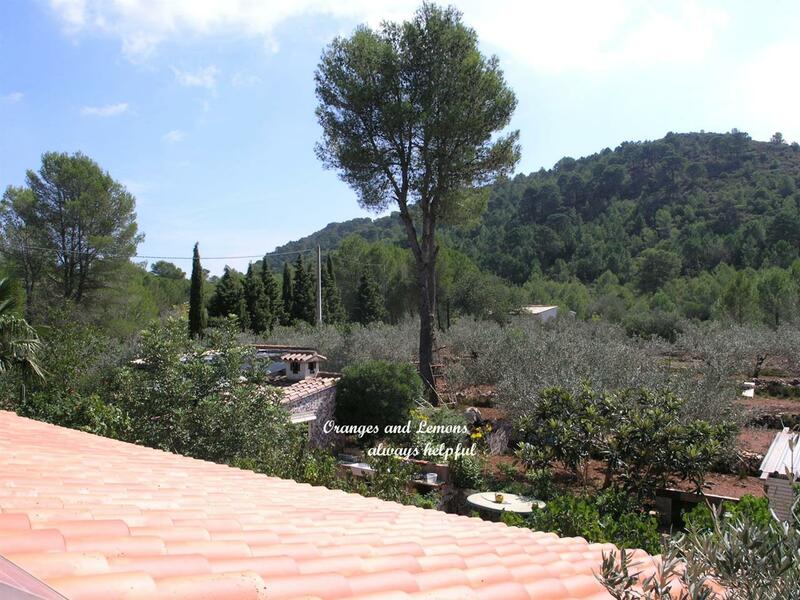 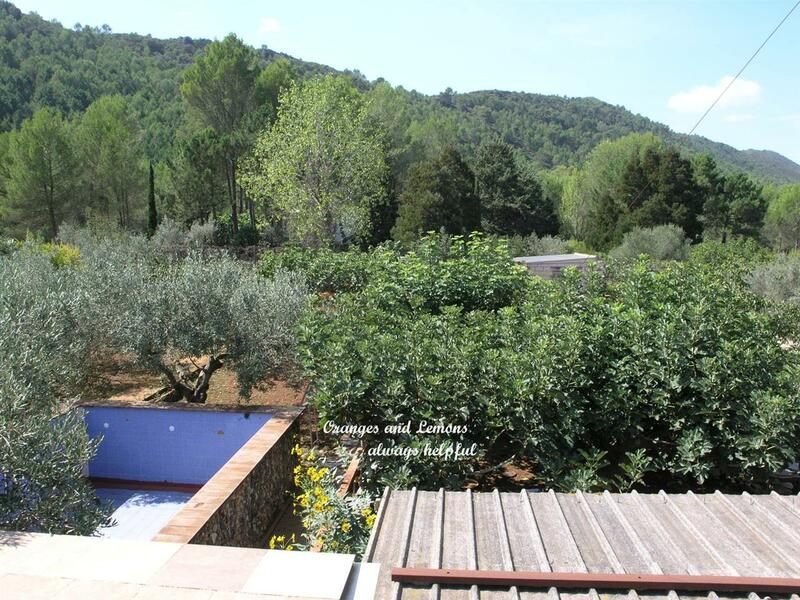 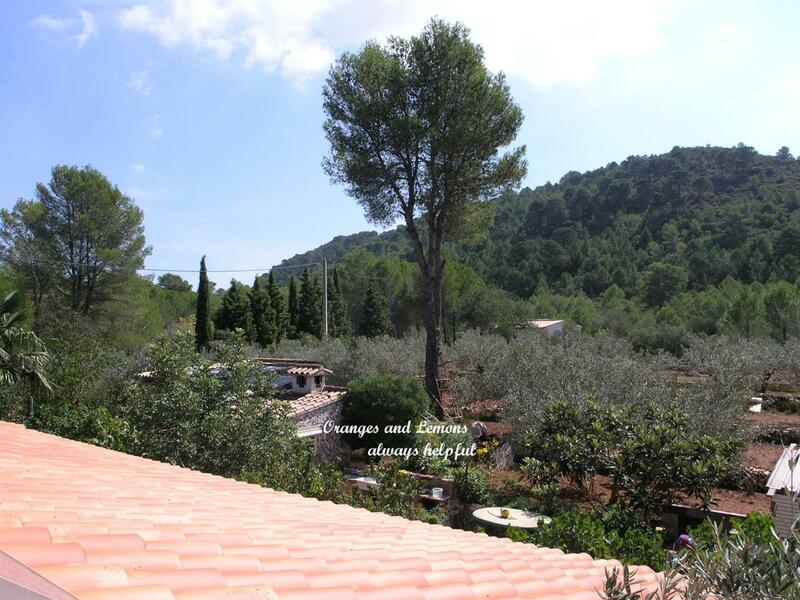 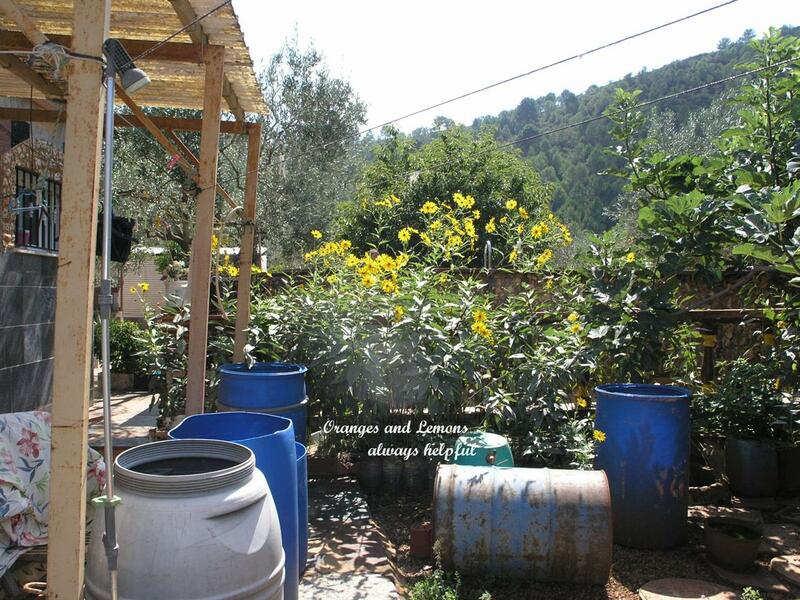 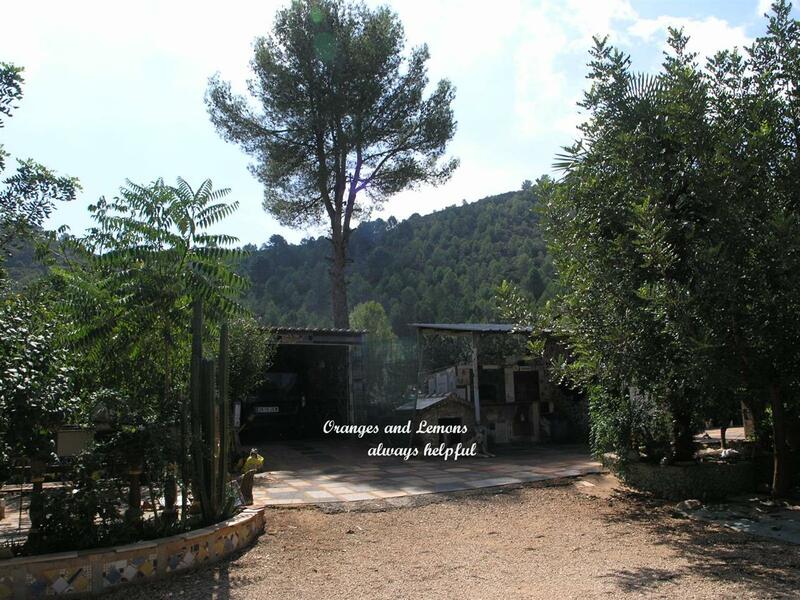 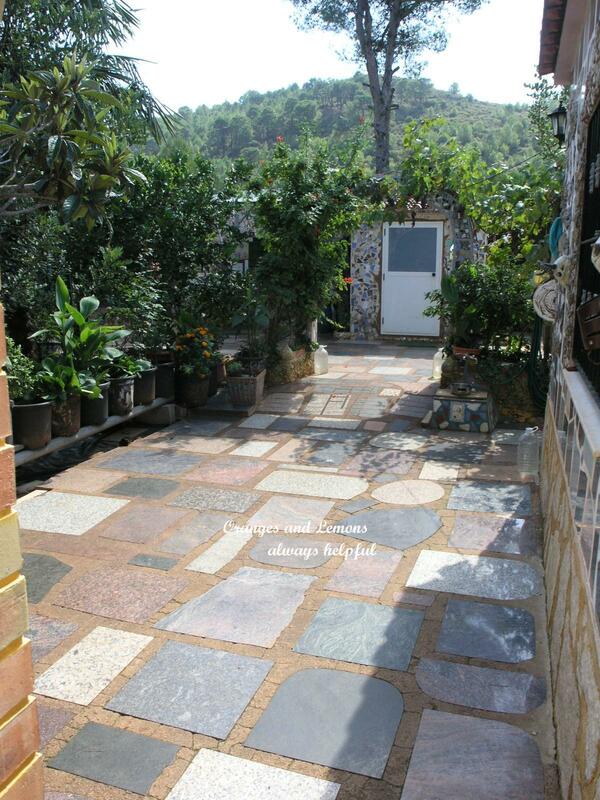 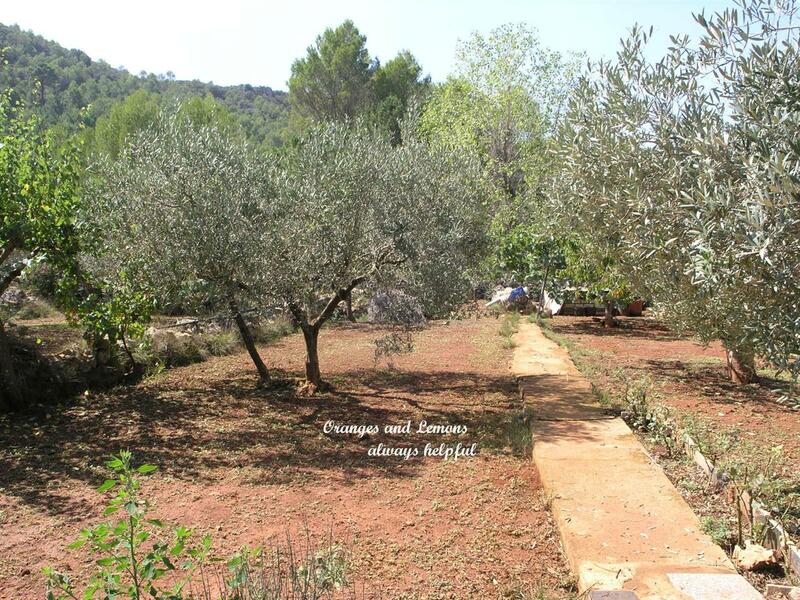 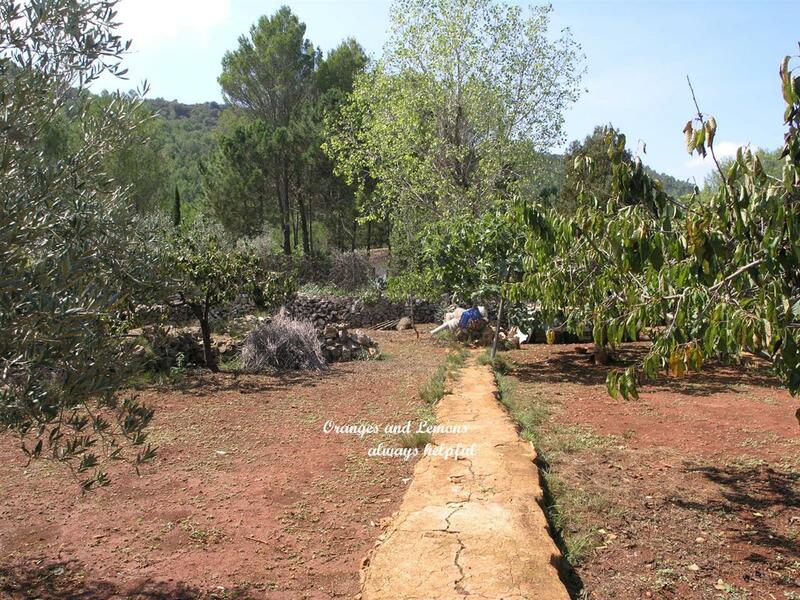 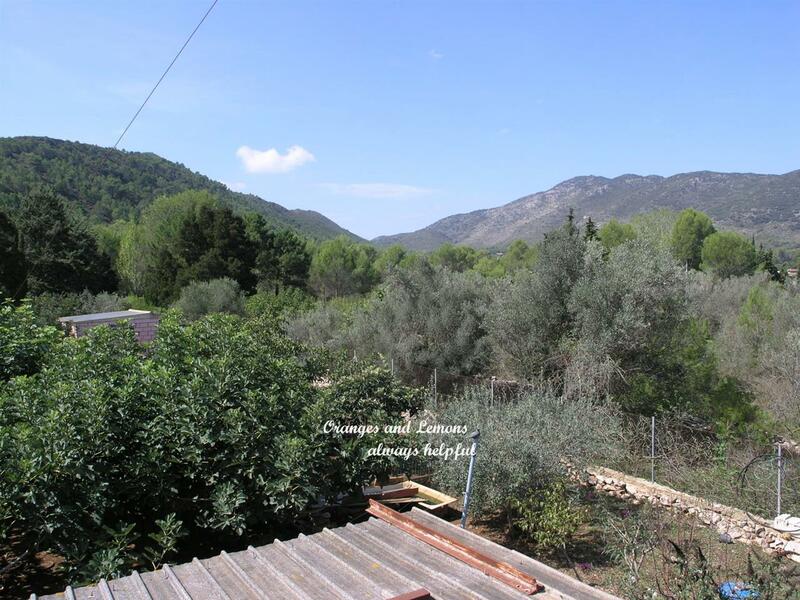 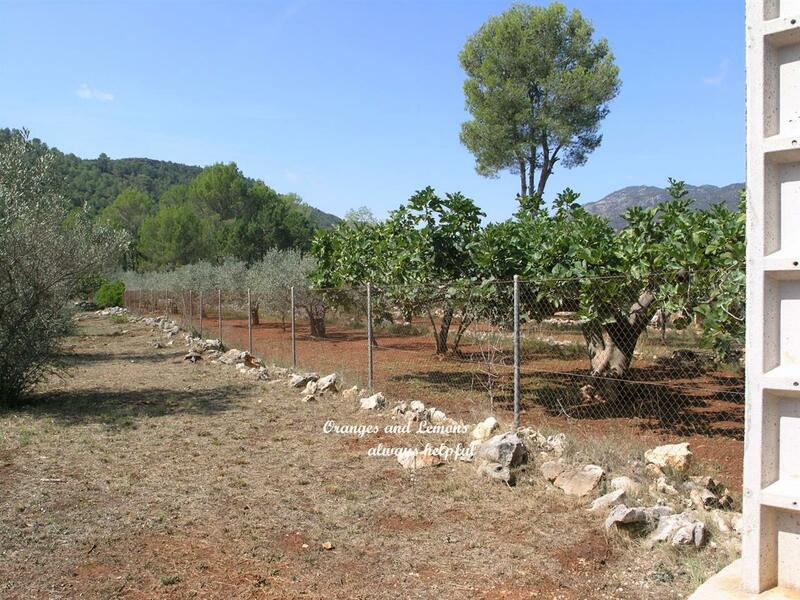 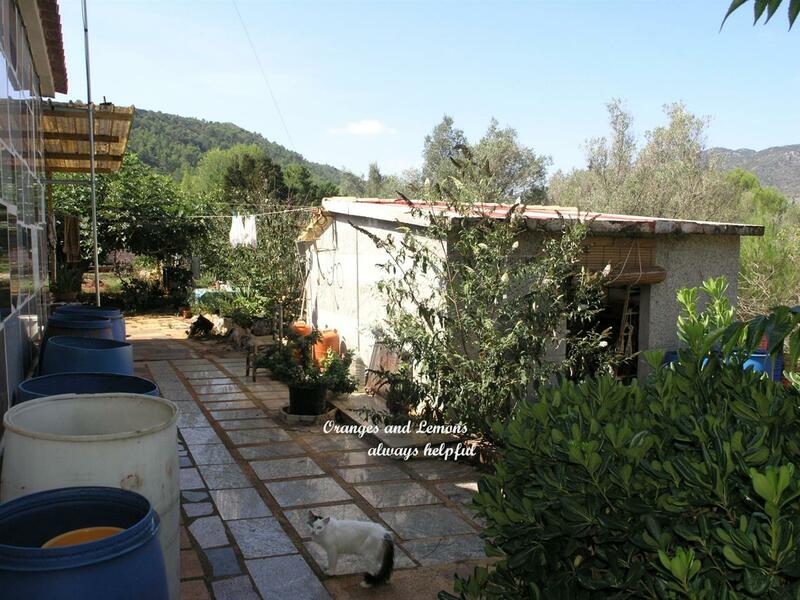 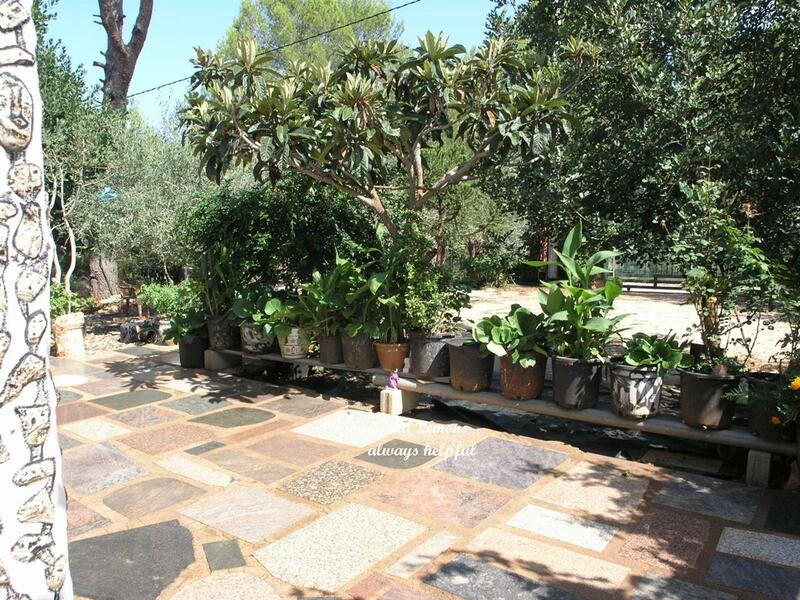 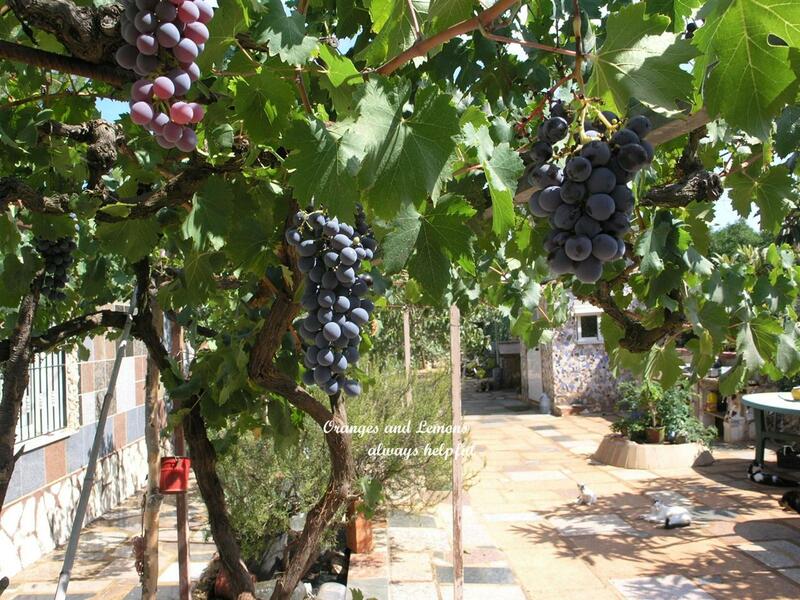 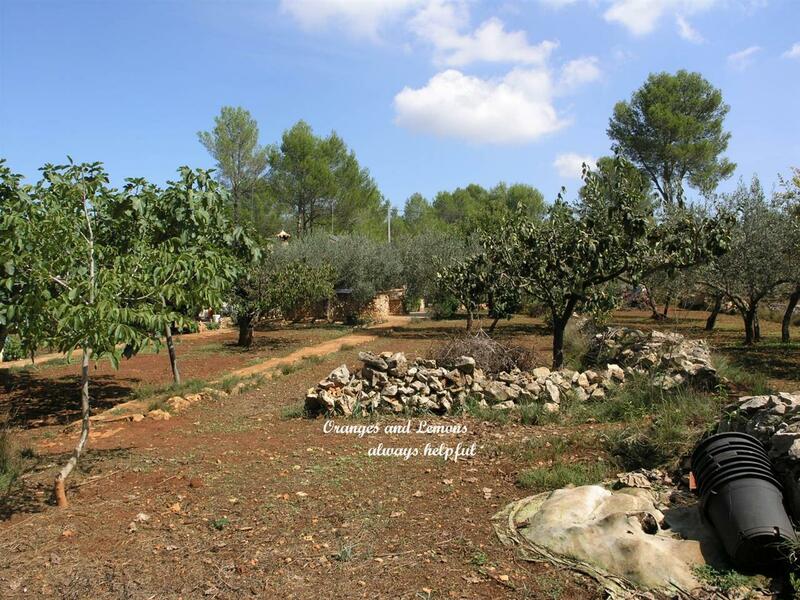 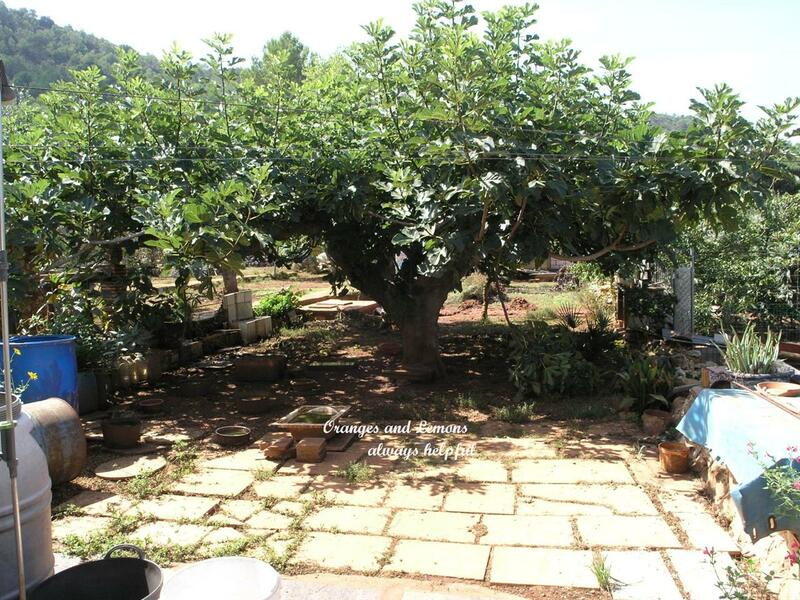 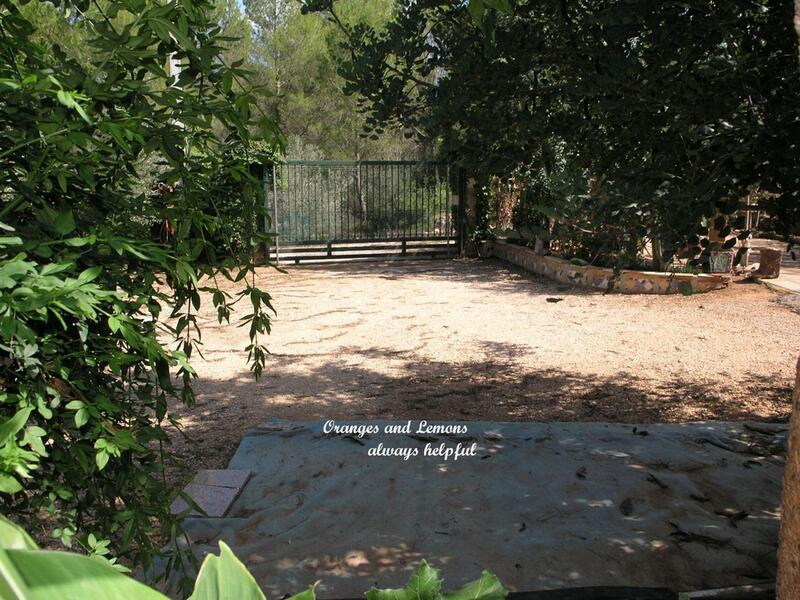 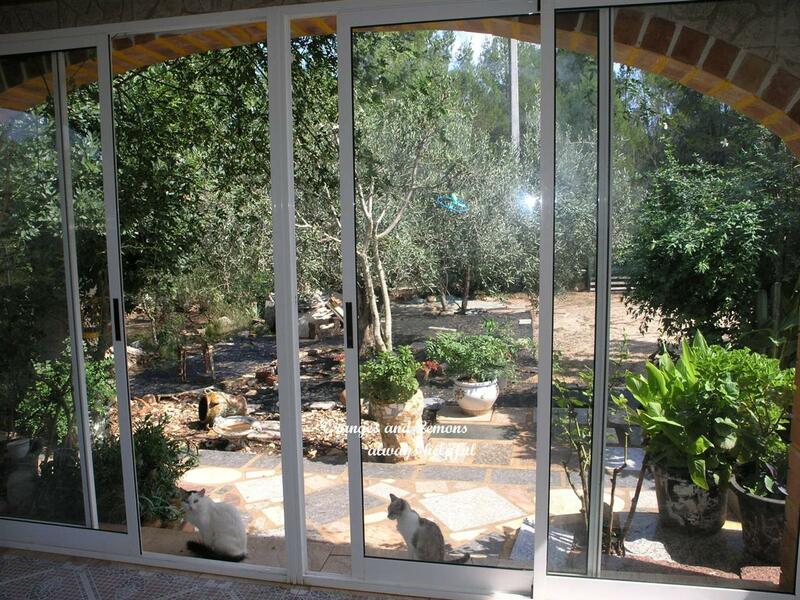 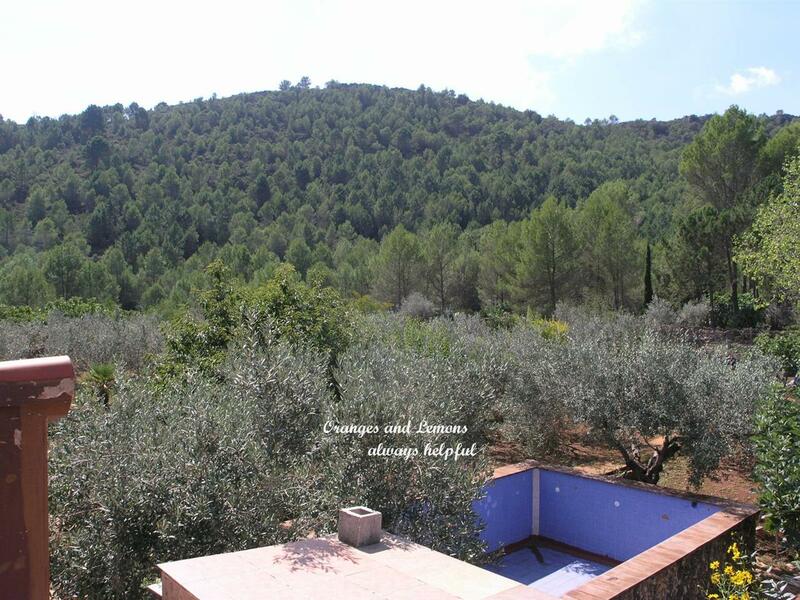 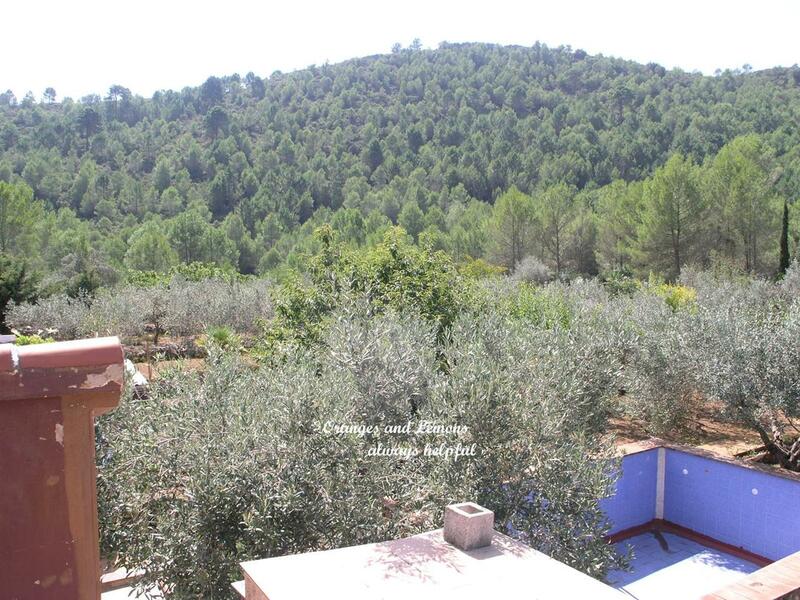 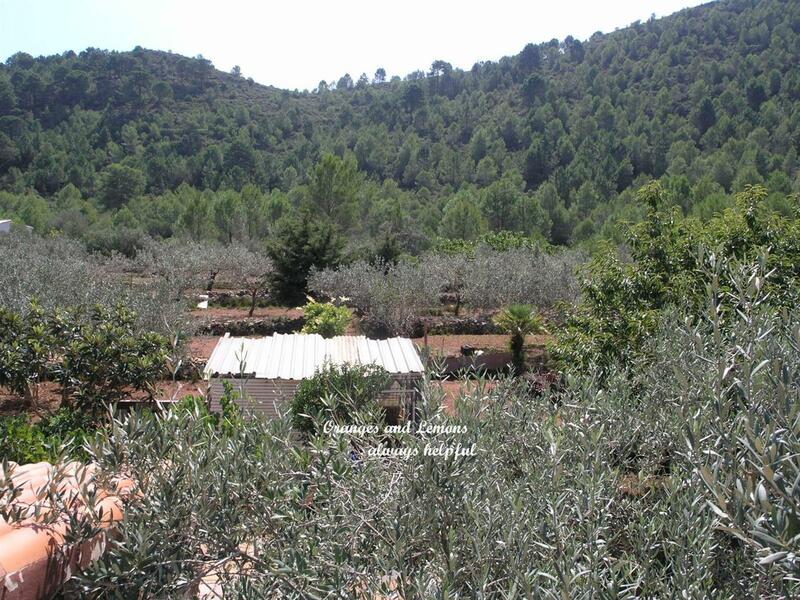 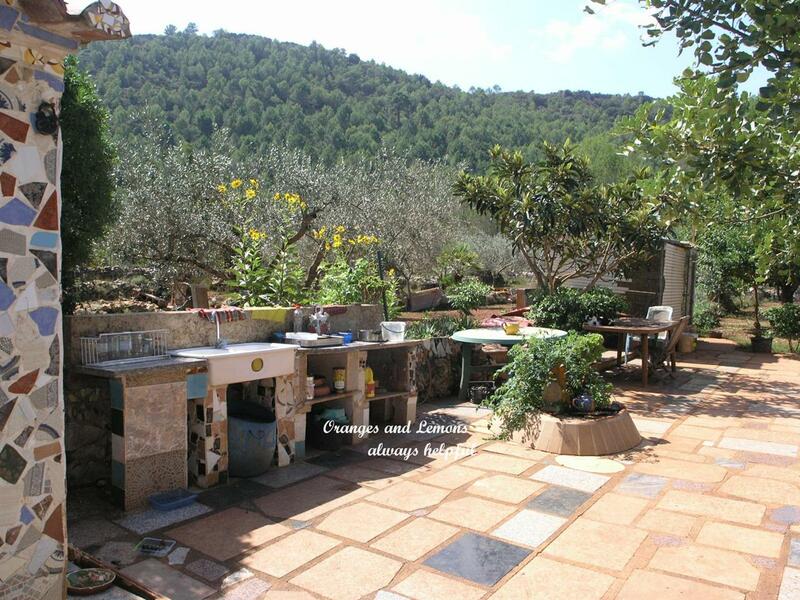 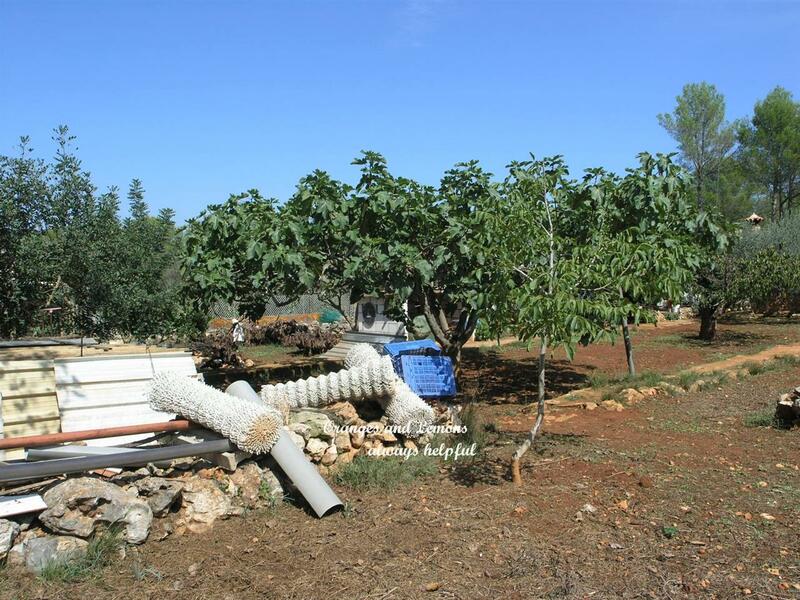 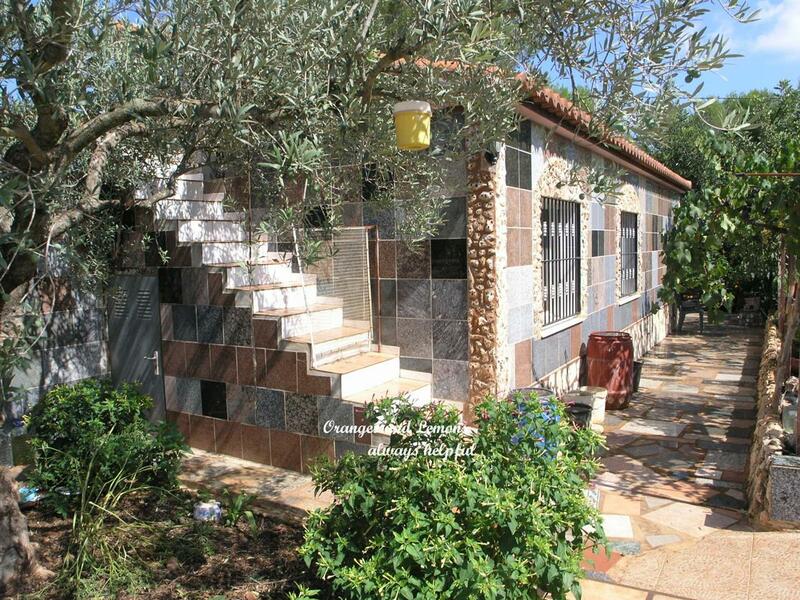 The surrounding flat plot houses the orchard of Olive trees which are currently in production. 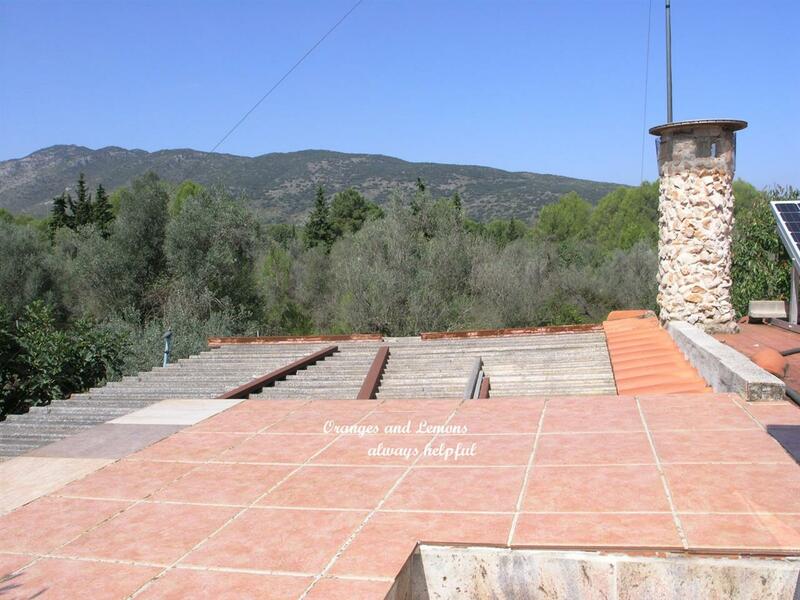 This is very much a property suited for outdoor lifestyle with numerous large sun terraces, outside kitchen and summer kitchen / BBQ. 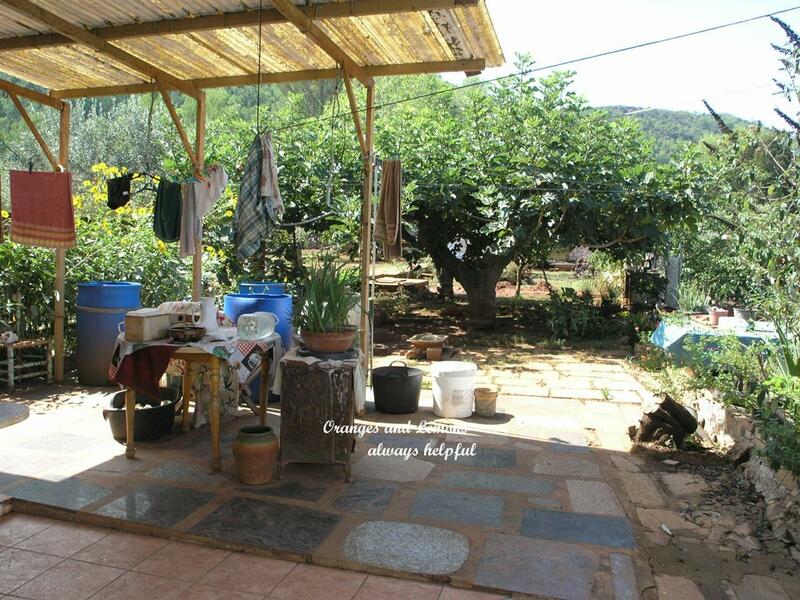 There is a large chicken house / run, free range eggs are in abundance.